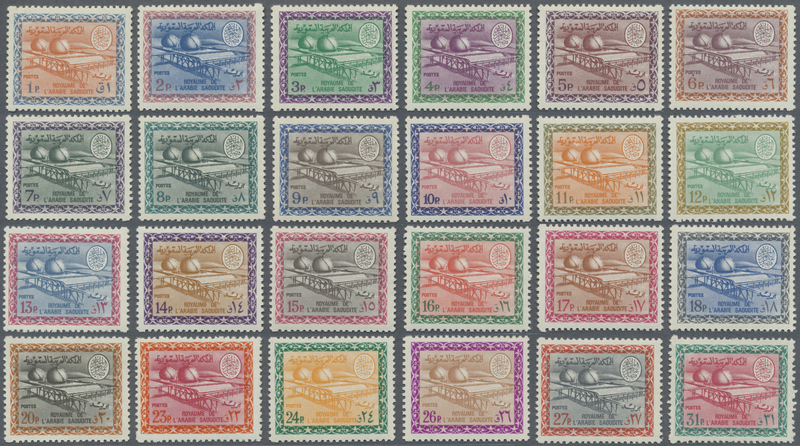 9606 ungebraucht (hinged) * postfrisch (never hinged) ** 13/23, 58/60 1934/57, definitive series with supplementary values/colours, unused mounted mint (some MNH), the 20 G. has RC. 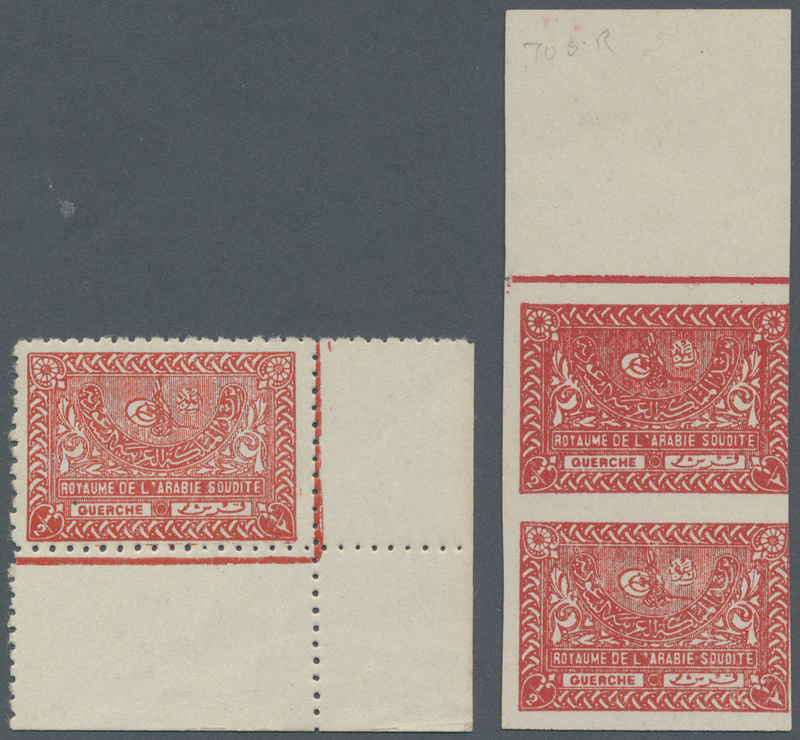 Plus some extras inc. imperforated vertical margin pair of the 1/2 G. deep rose red, MNH (SG 329/42 resp. 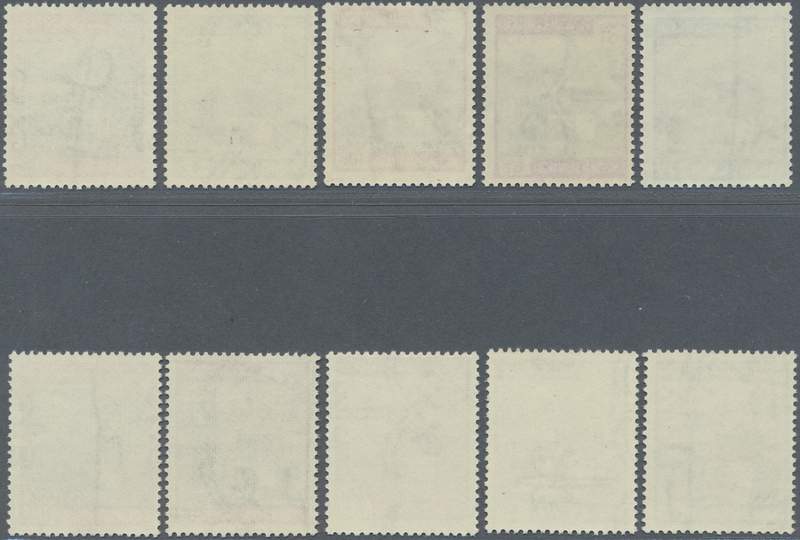 Scott 159/72 +). 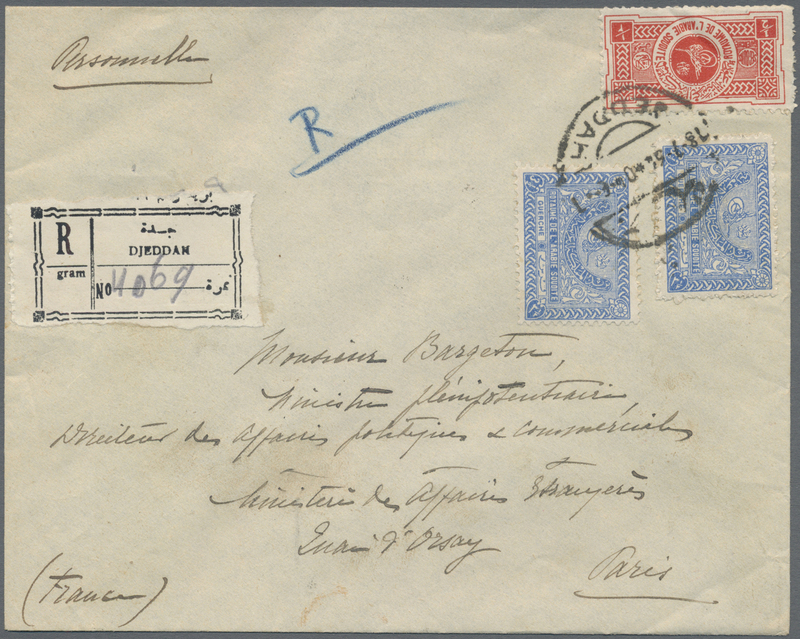 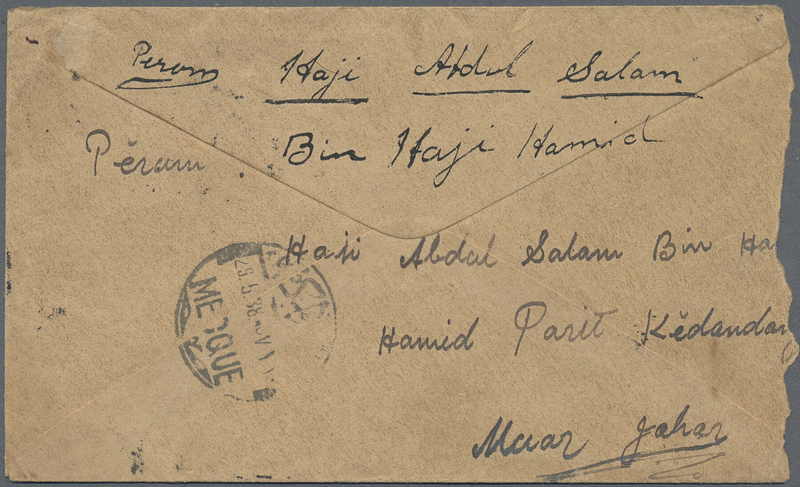 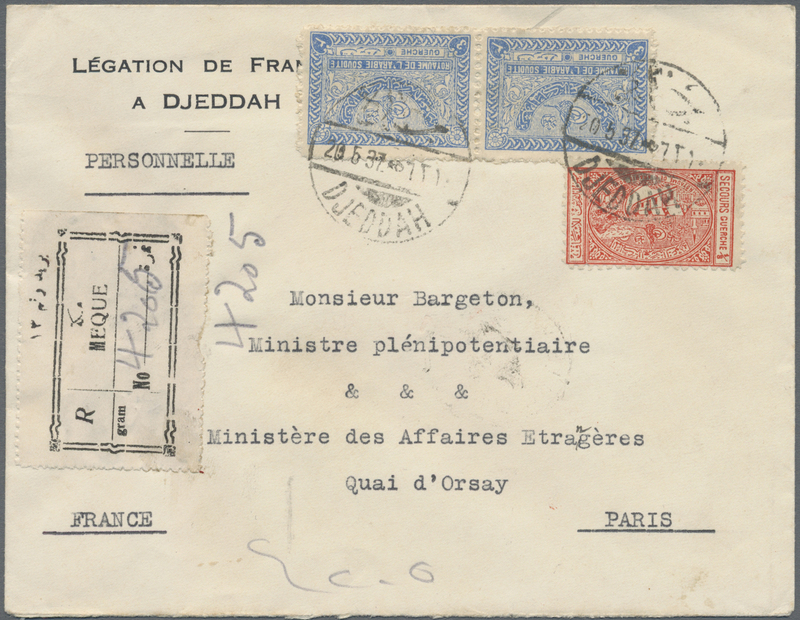 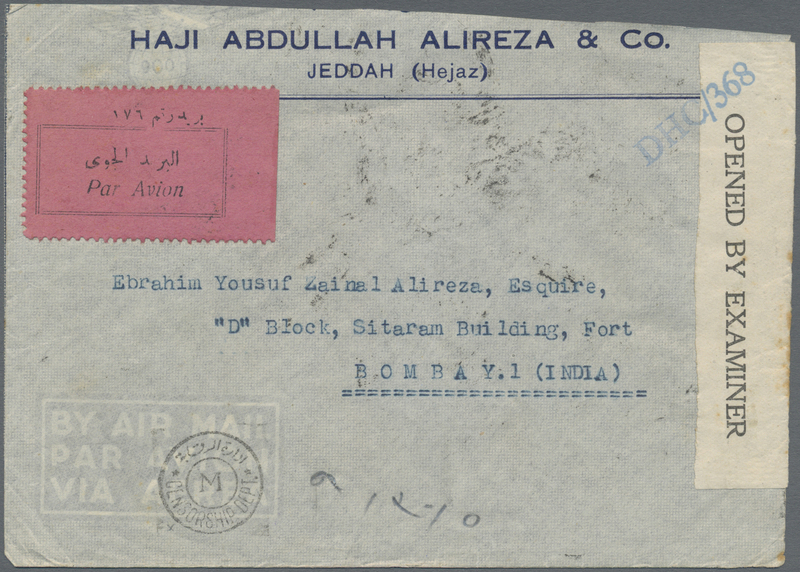 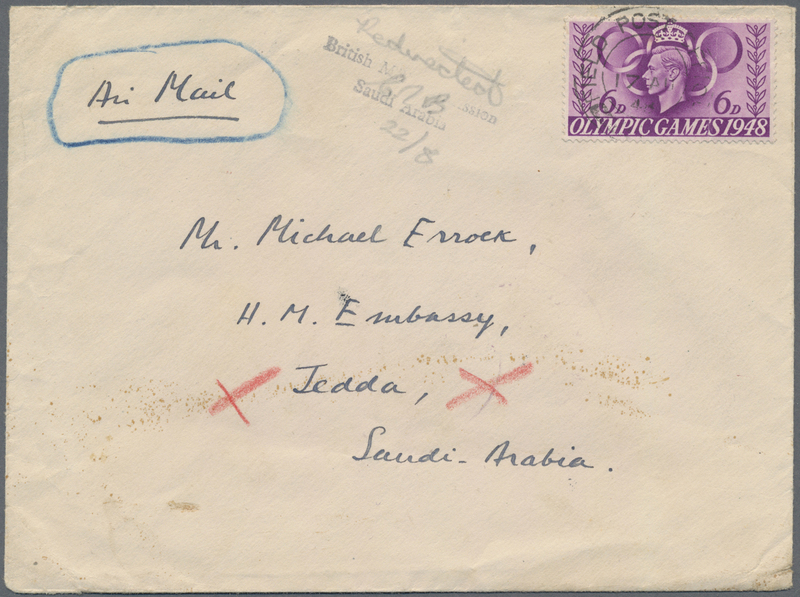 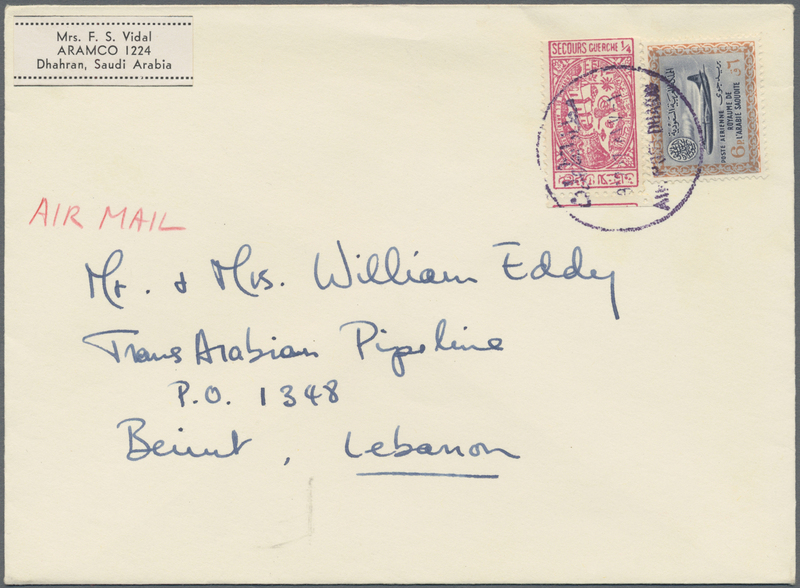 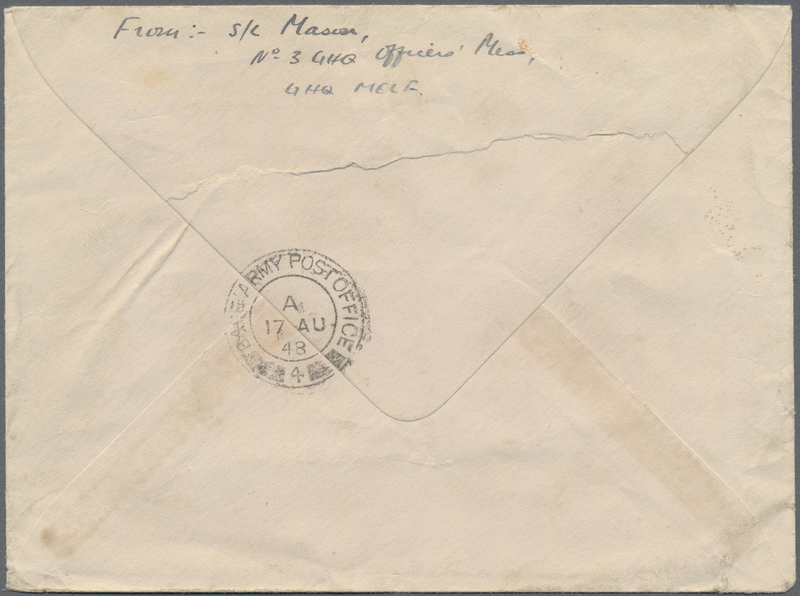 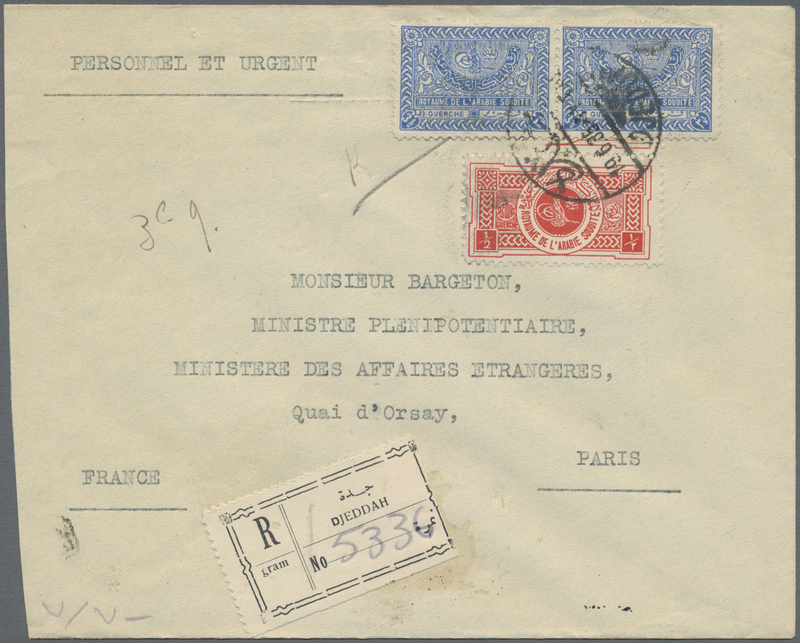 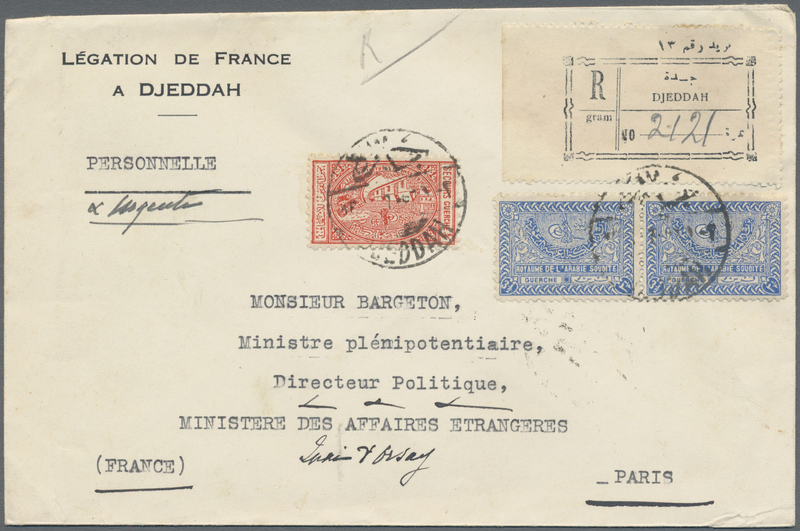 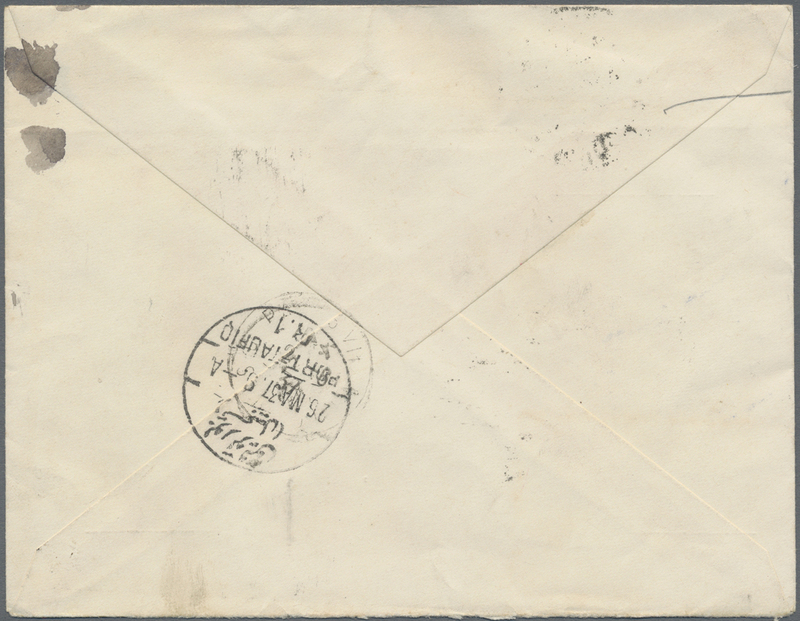 9612A Brief (cover) Johore SG 113 1938, INCOMING MAIL: Johore, 12 C dull purple and blue, single franking on cover from PARIT JAWA, 29 AP 1938 (Proud Type D4), to Mecca, bilingual arrival mark MECQUE, 29.5.38, on reverse. 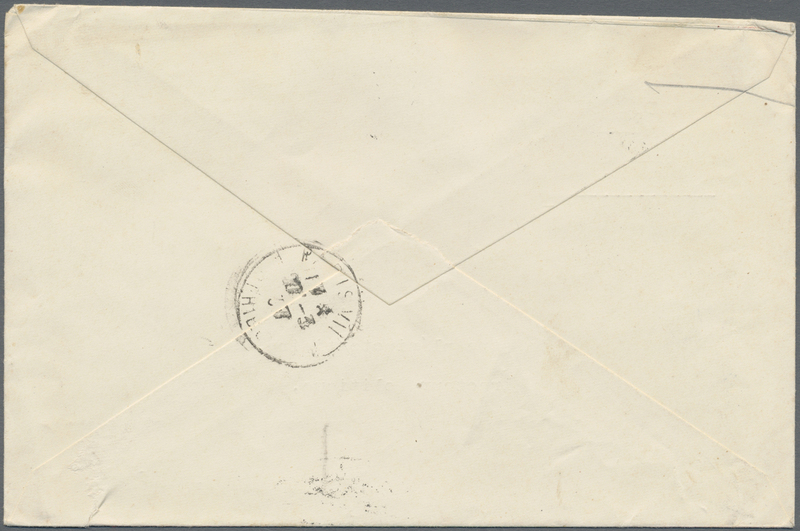 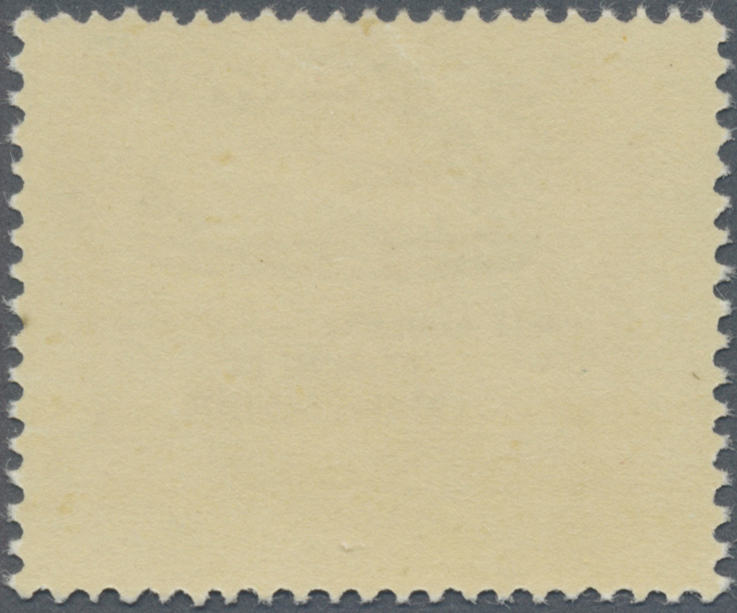 Stamp with scratches, envelope shortened and roughly opened at left side. 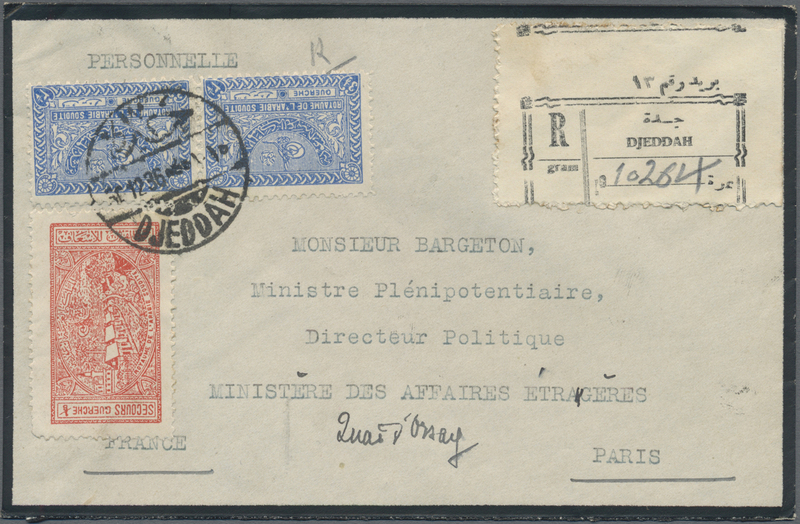 Very unusual and scarce incoming mail! 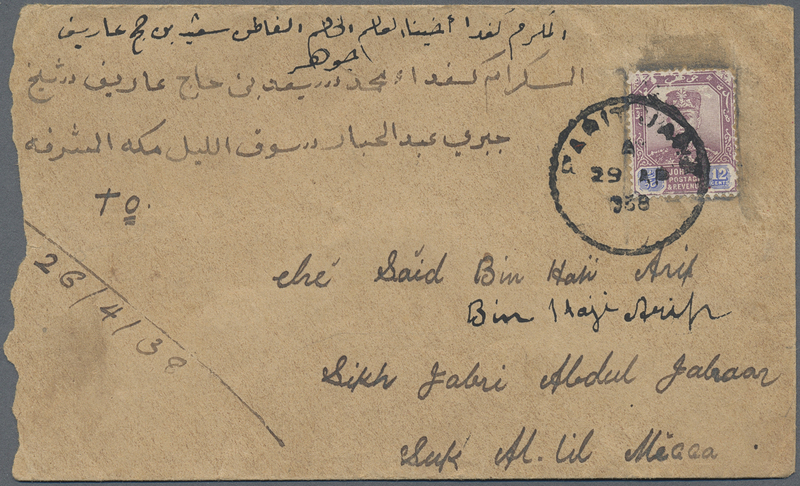 9615 postfrisch (never hinged) ** 24/27 1945, meeting of King Ibn Saud with King Faruk set, mint never hinged MNH (SG 352/55, Scott 173/76). 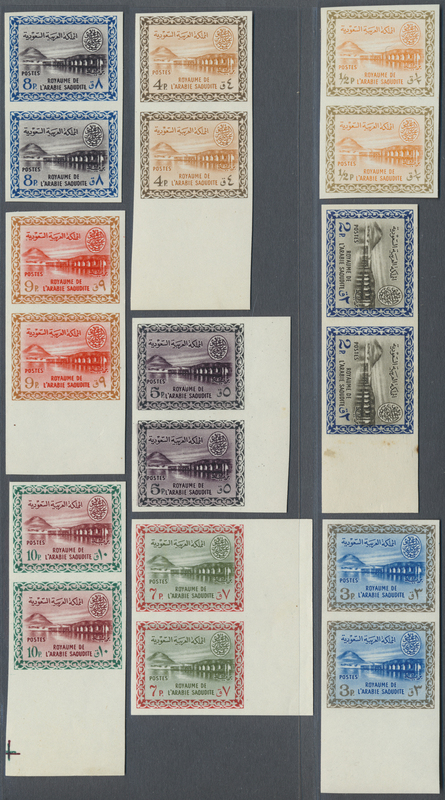 9617 postfrisch (never hinged) ** 4er (Block) 35/36, 36F 1950, visit of King of Afghanistan, top margin blocks of 4 with the 3 G. in pos. 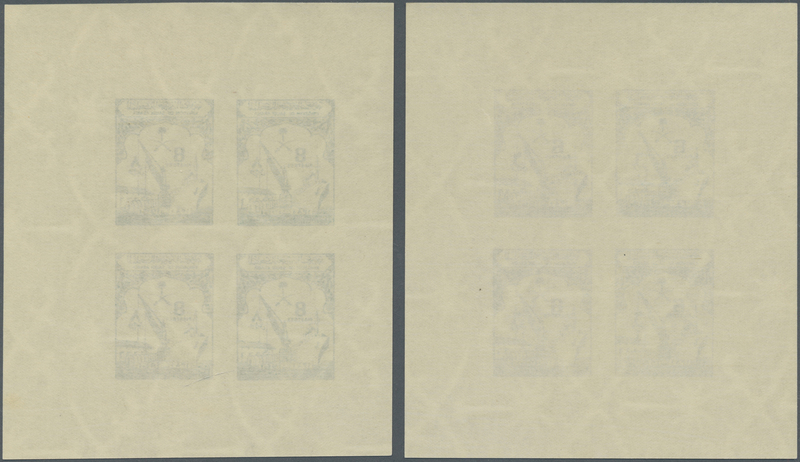 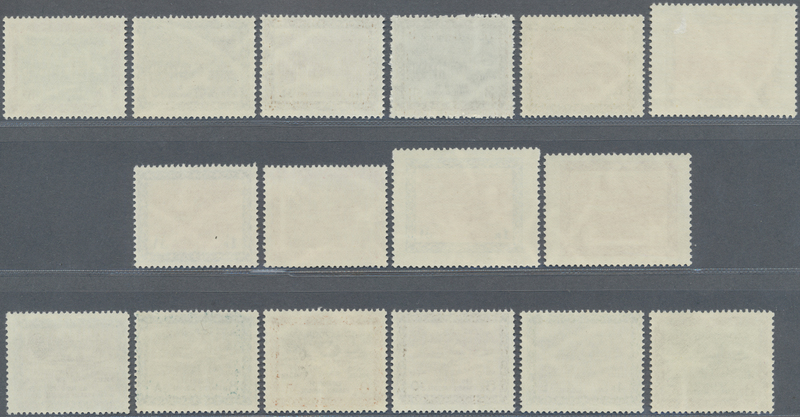 2 with error "POSTFS", mint never hinged MNH (SG 363/64 + 364a, Scott 178/79 + 179a). 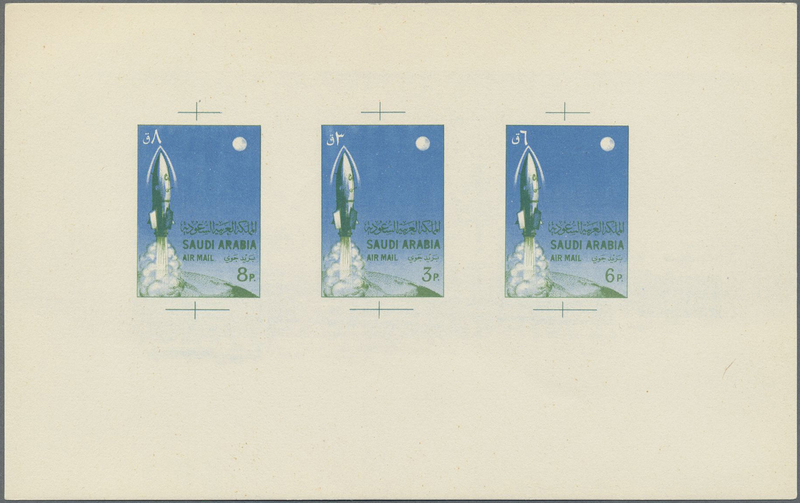 9618 postfrisch (never hinged) ** 37/41 1950, anniversary of Riyadh capture set inc. three margin copies, mint never hinged MNH (SG 365/69, Scott 180/84). 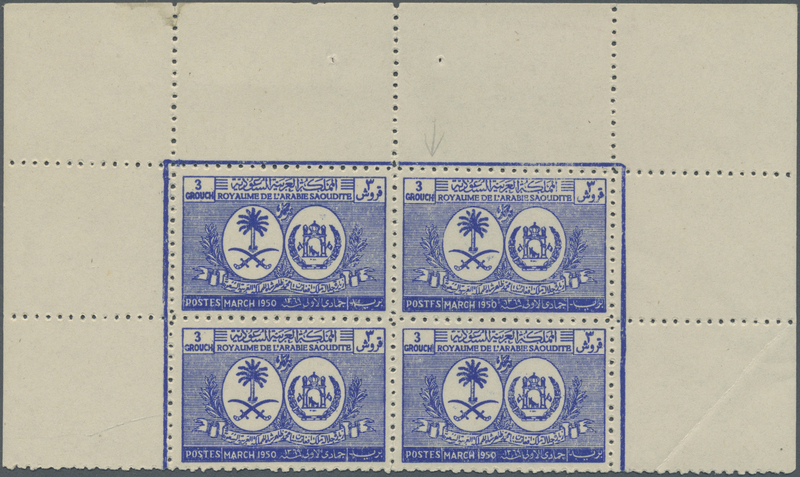 9619 postfrisch (never hinged) ** 41I (19), 41II 1950, capture of Riyadh anniversary 10 G., a full sheet with variant pos. 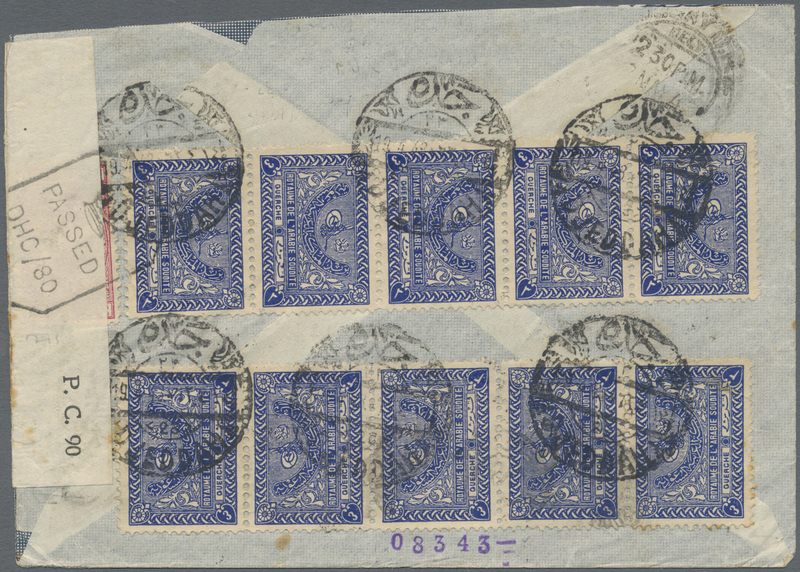 11 "Guerche" singular instead of plural in right (arabian) value tablet, mint never hinged MNH (SG 369+369a, Scott 184+184a). 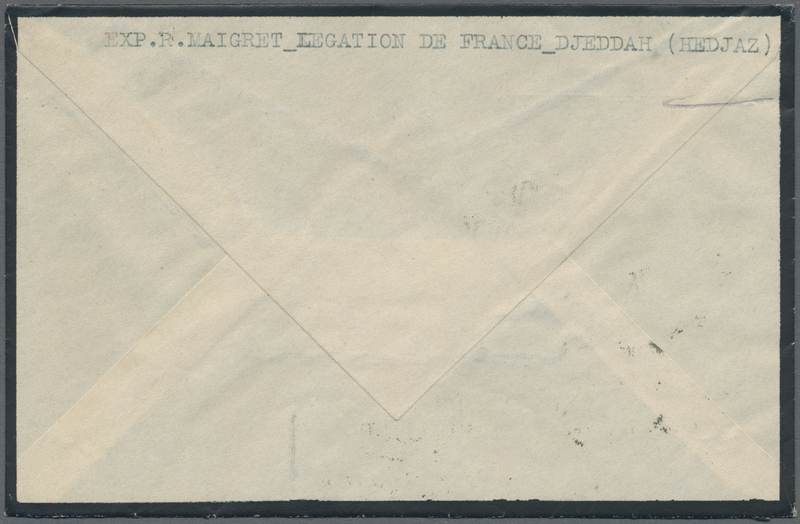 9620 postfrisch (never hinged) ** 42/43F 1951, visit of King Talal of Jordania set, both with error inscription "BOYAUME" (quickly redrawn from p. o. counters) mint never hinged MNH (SG 370a/71a, Scott 185a/186a). 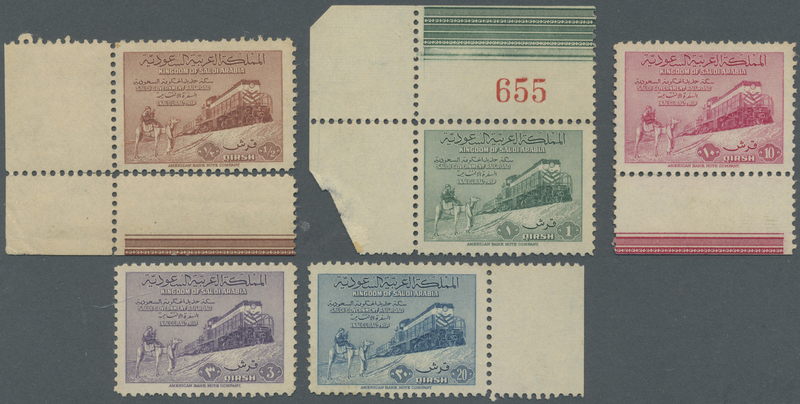 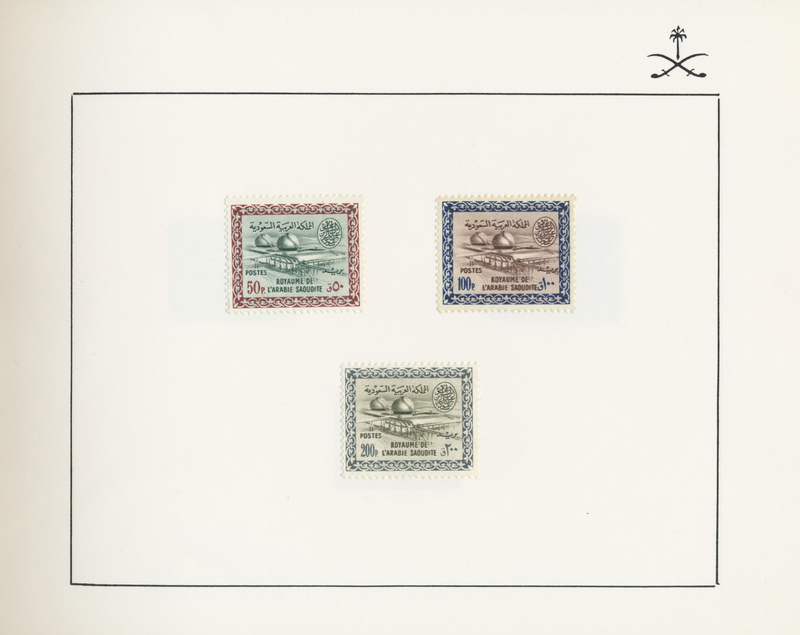 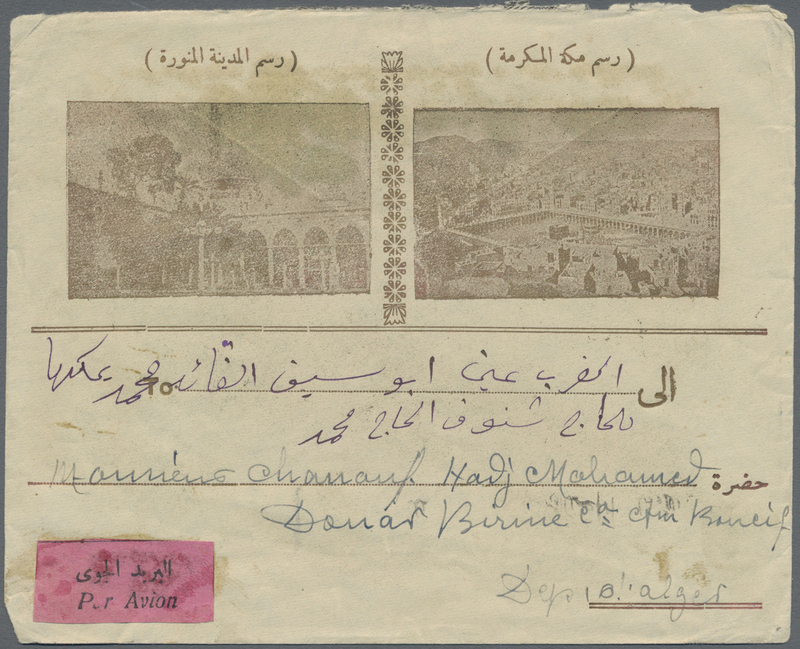 9621 postfrisch (never hinged) ** 44/48 1952, completion of railway Riyadh-Damman margin (mostly) copy set, mint never hinged MNH (SG 372/76, Scott 187/91). 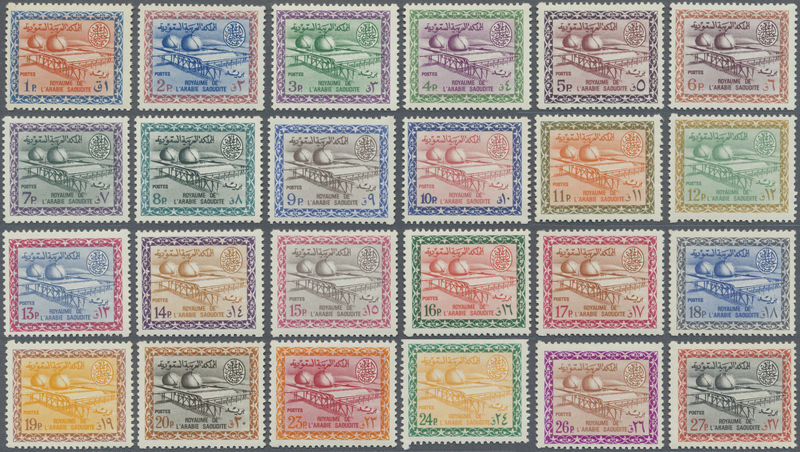 9625 postfrisch (never hinged) ** 71/86 1960/61, dam definitive complete set, mint never hinged MNH (SG 412/27, Scott 211/226). 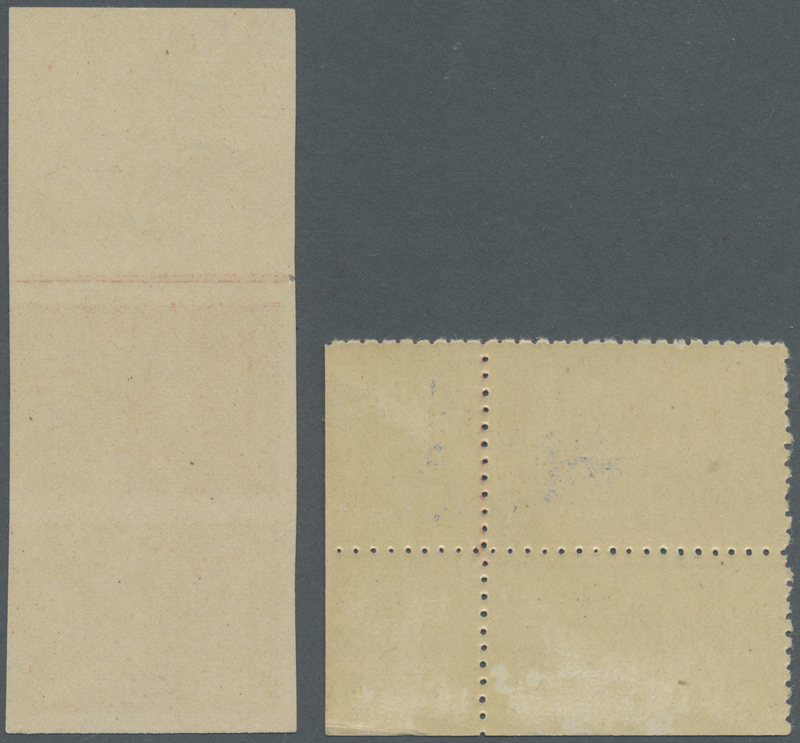 Plus pair of Sc. 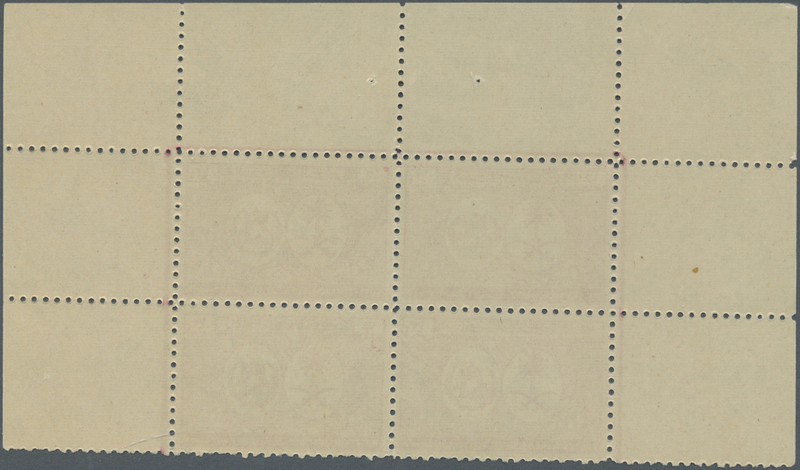 217a MNH and single of 225 used. 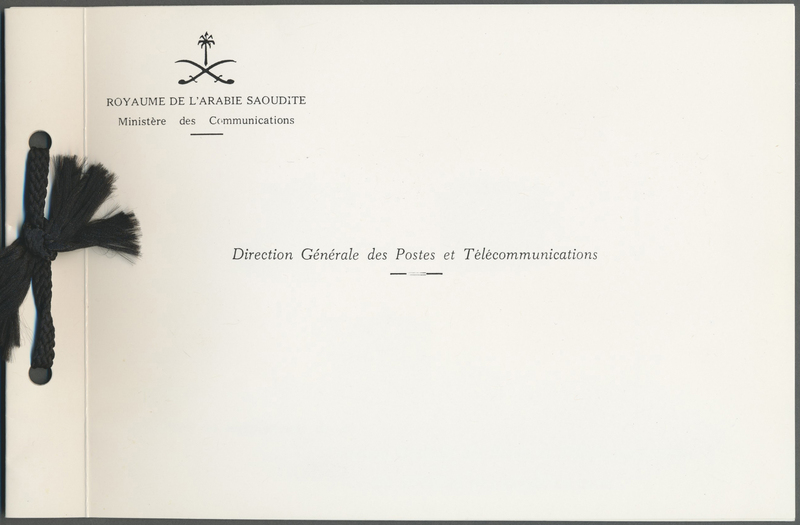 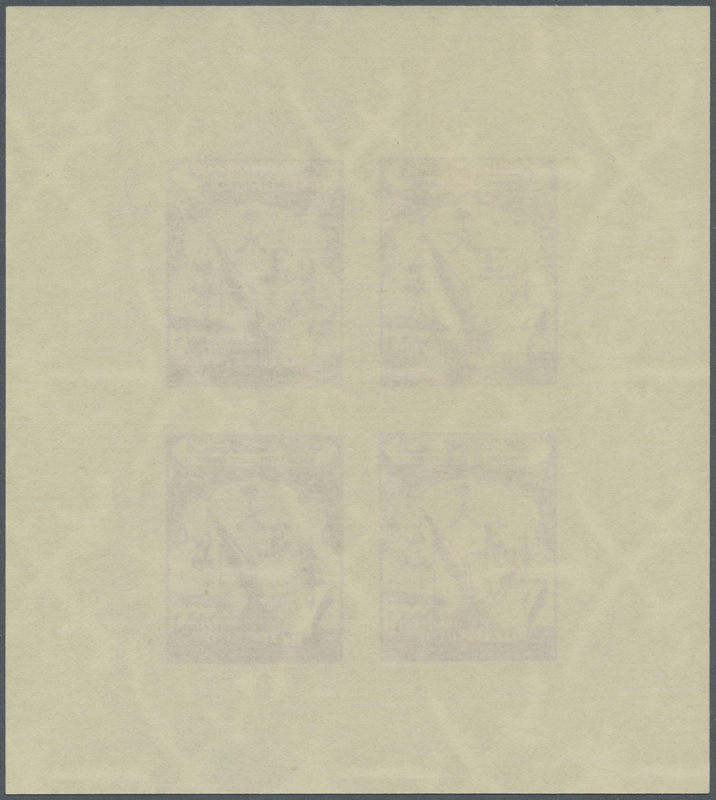 9626 ungebraucht ohne Gummi (unused without gum) (*) ex 83/117 1960-62: Presentation folder by the P&T General Director containing top values of Wadi Hanifa, Oil and Air sets, even 50p., 100p. 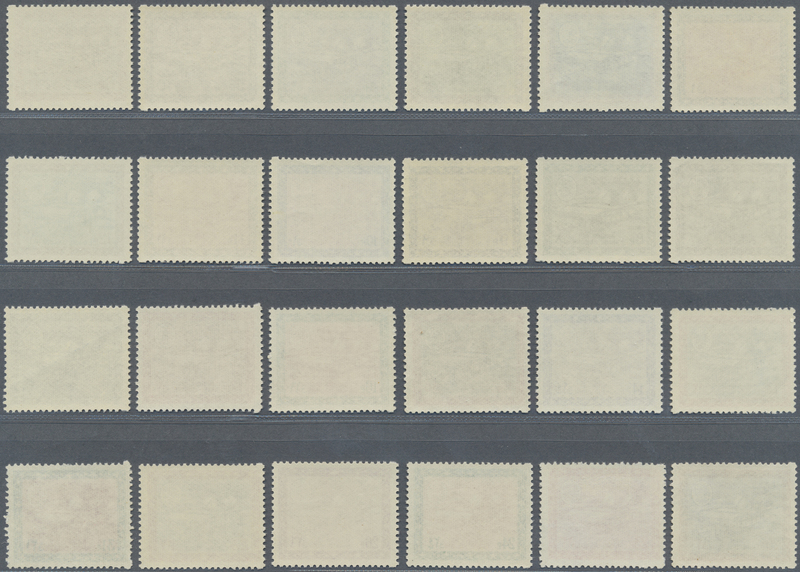 and 200p. 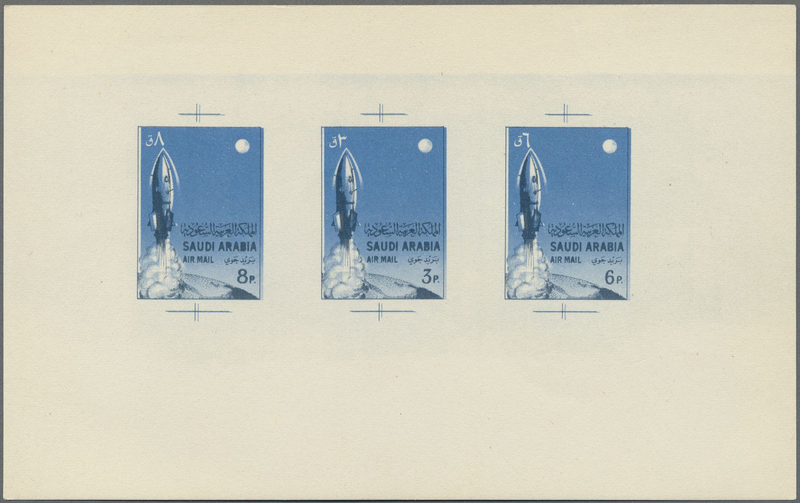 affixed to folder unused, Wadi Hanifa 100p. 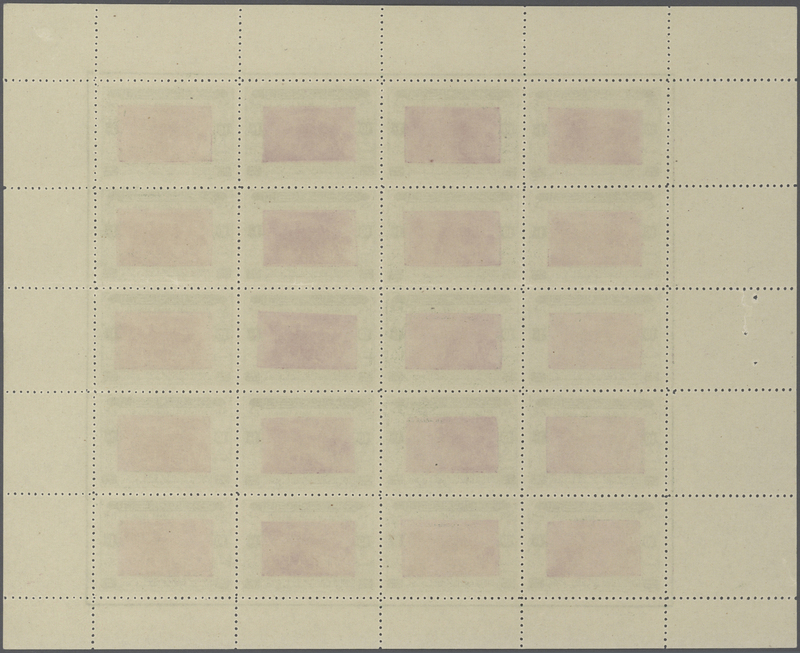 with a scratched spot and 200p. 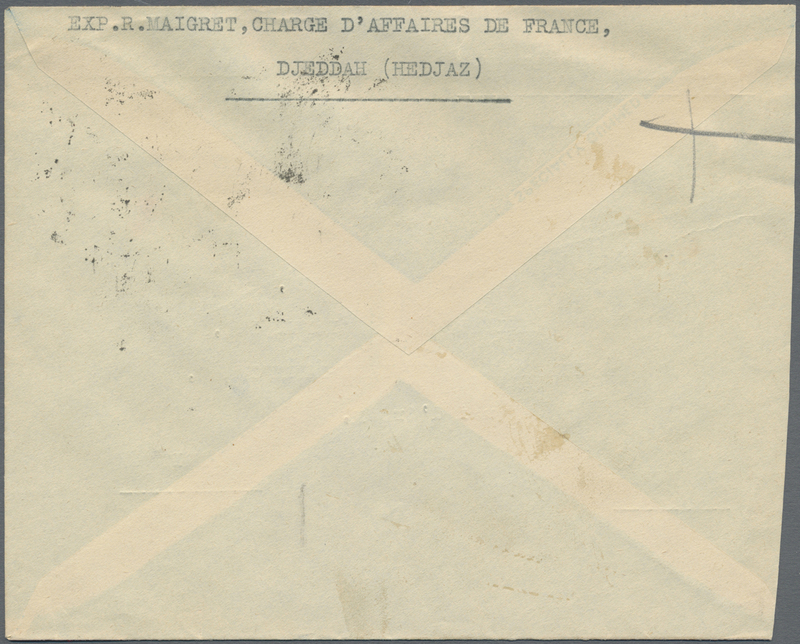 affixed with a tear at foot otherwise fine. 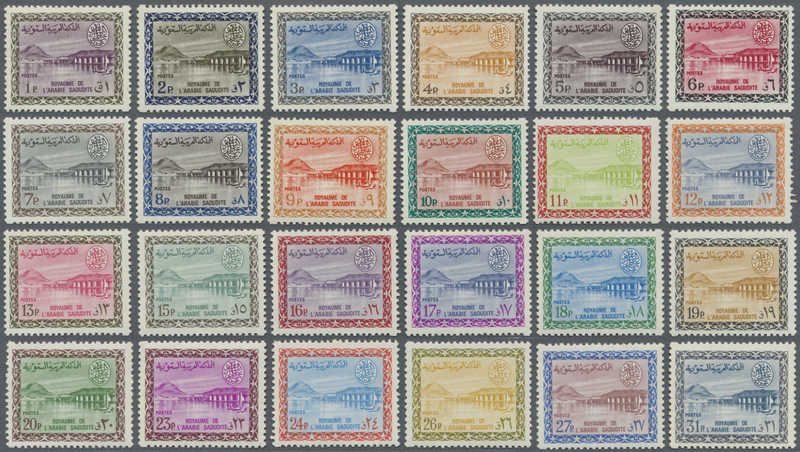 9627 postfrisch (never hinged) ** ungebraucht (hinged) * 87/102 1960/62, revised definitive series set, 2 Pia. 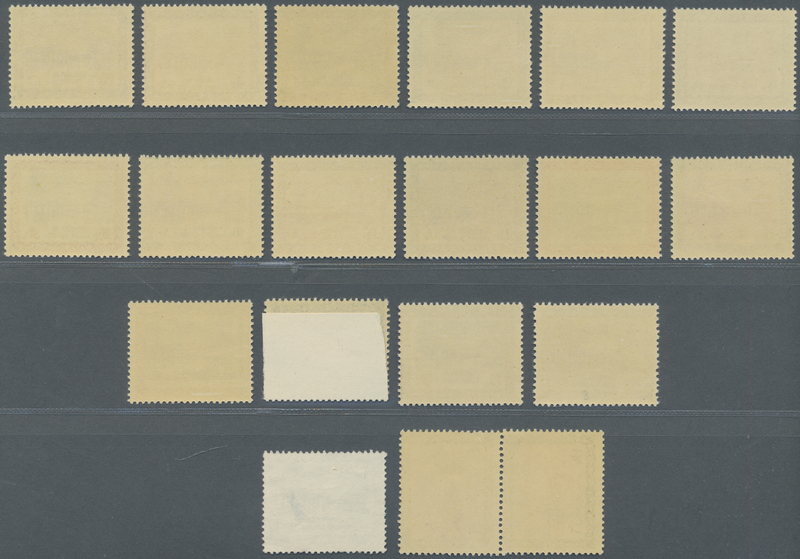 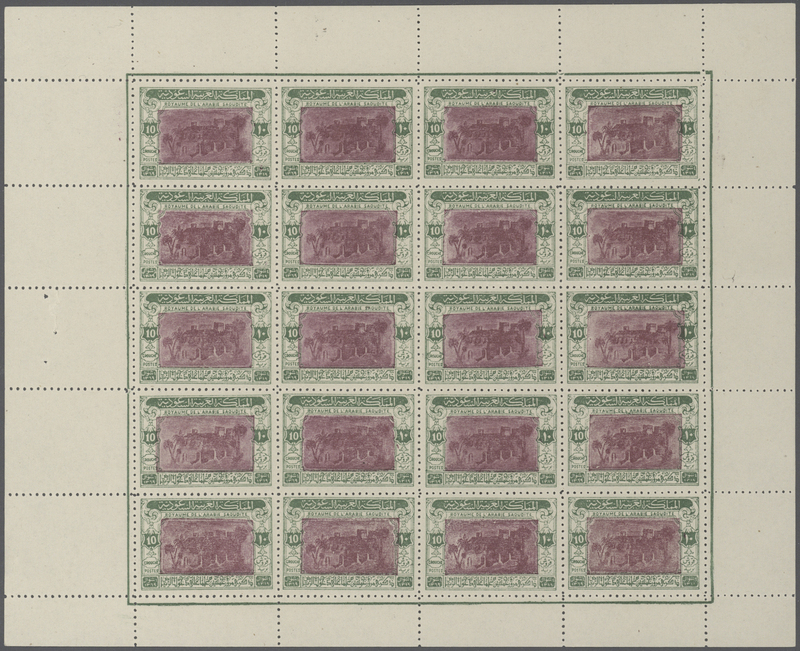 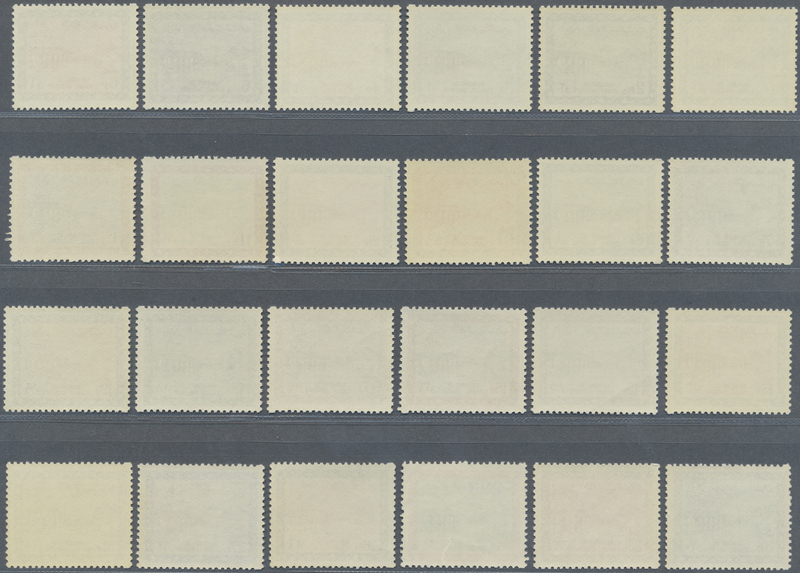 and 9 Pia tiny tiny gum disturbances, otherwise mint never hinged MNH (SG 396/411, Scott 227/42). 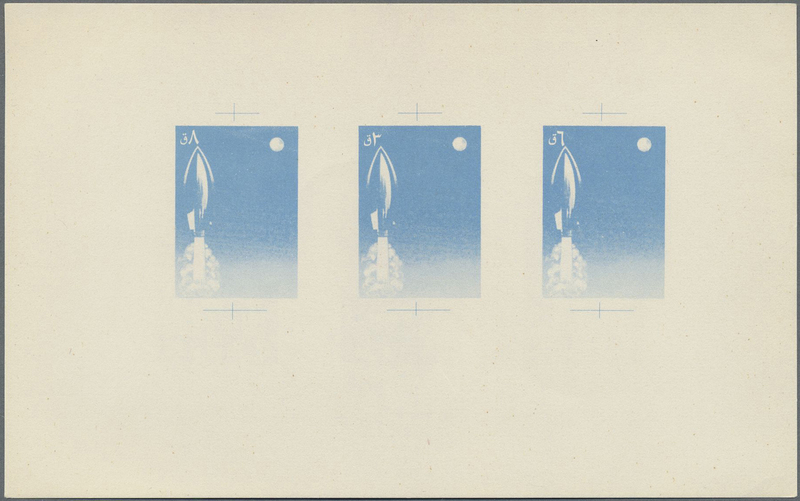 9628 ungebraucht ohne Gummi (unused without gum) (*) Essays 1960's Unissued 'Rocket' airmail stamps: Trial and colour proofs of unissued 3p., 6p. 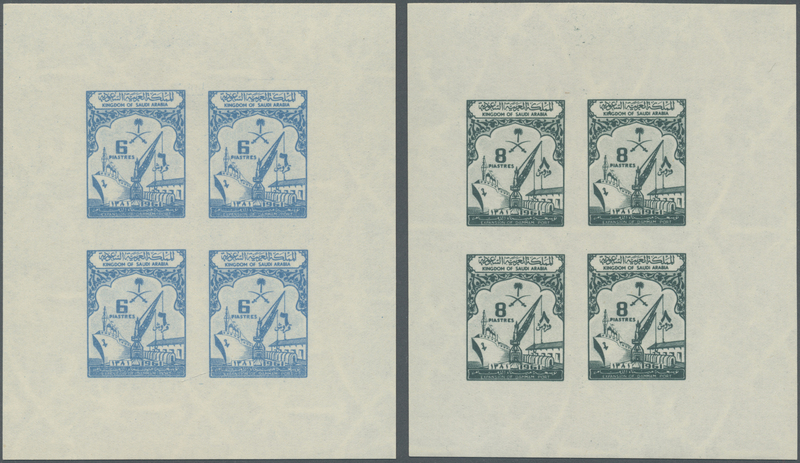 and 8p., even three values together on 5 sheetlets of different colour combinations, fine and scarce. 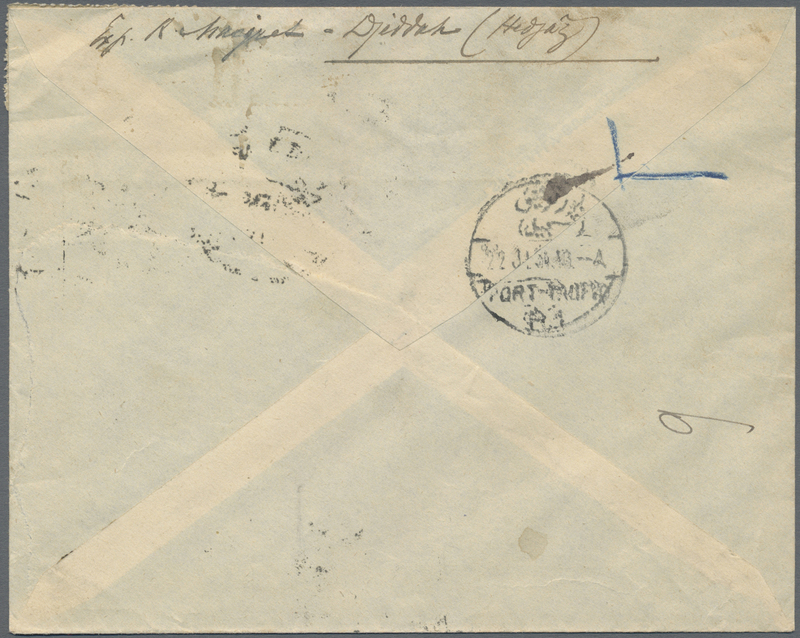 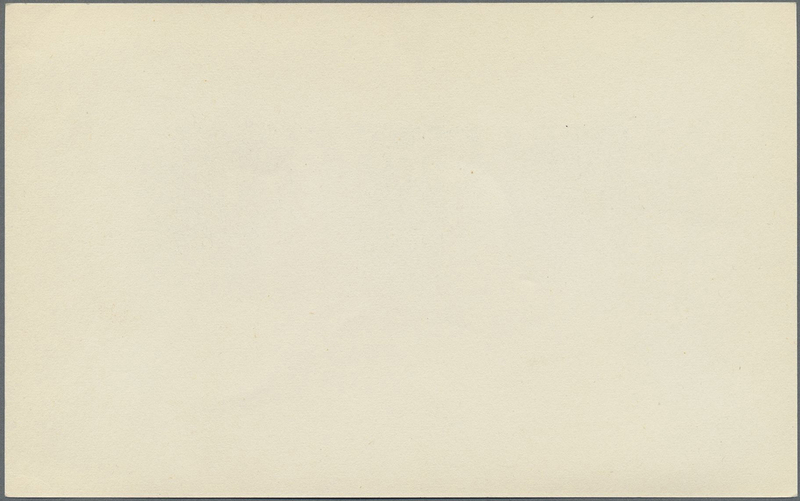 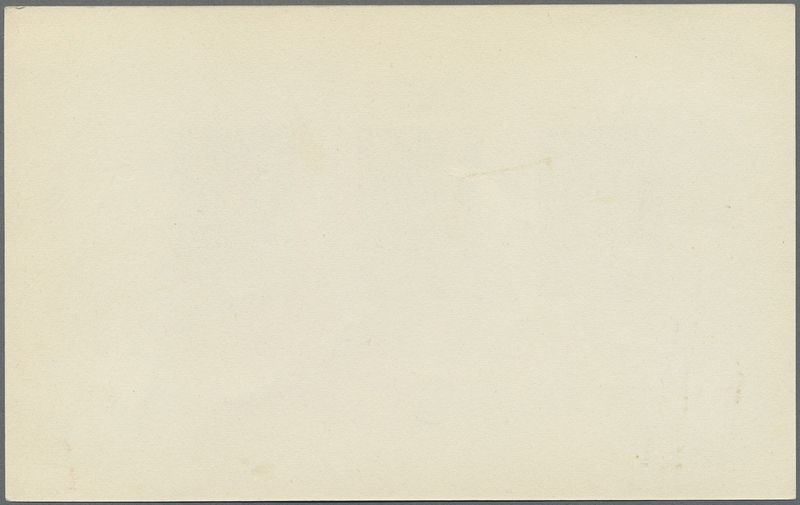 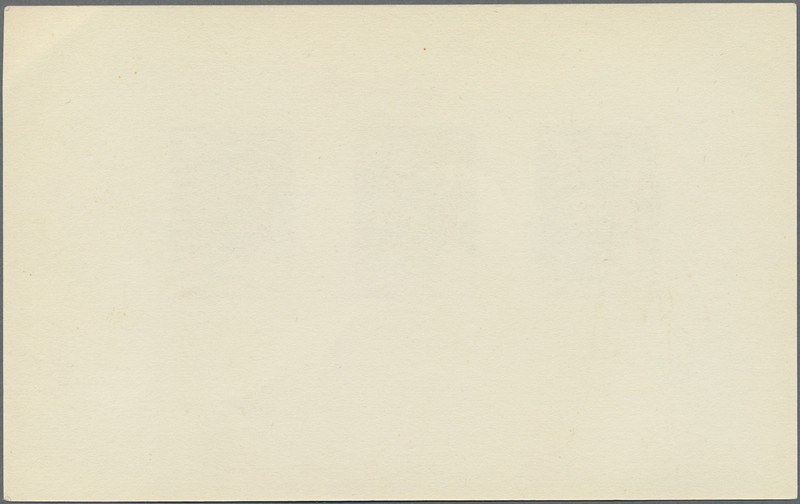 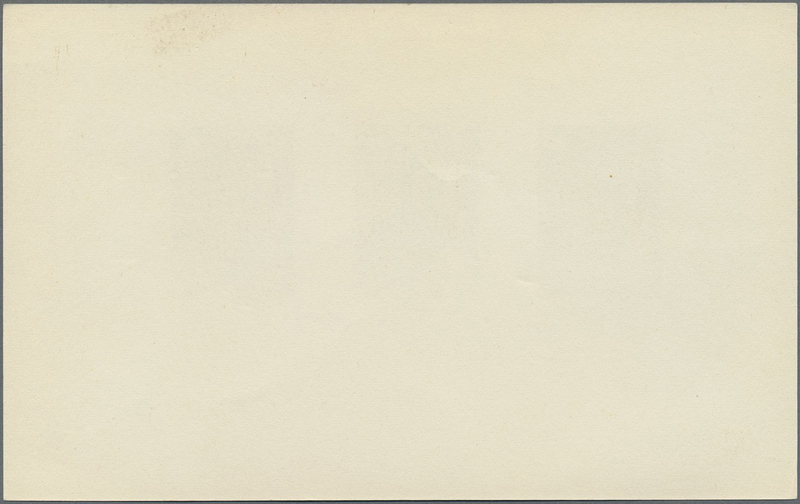 9629 postfrisch (never hinged) ** Bl. 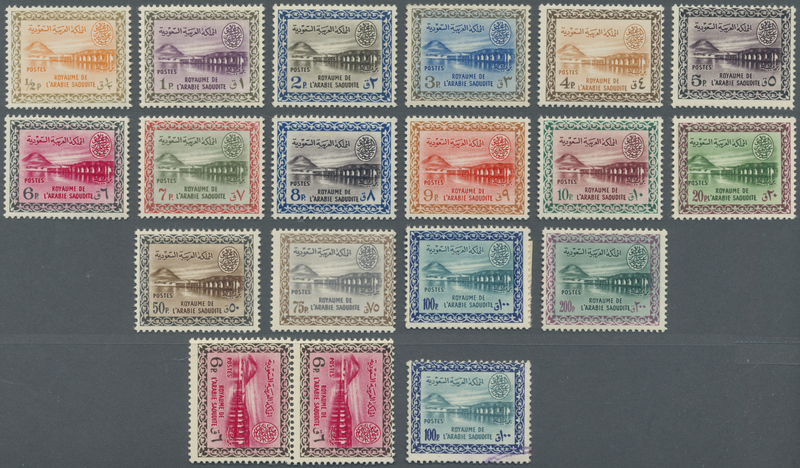 1/3 1961, Damman harbour s/s set, mint never hinged MNH, the 3 P. s/s has only 103 mm in the vertical (SG 446/48 s/s, Scott 243/45). 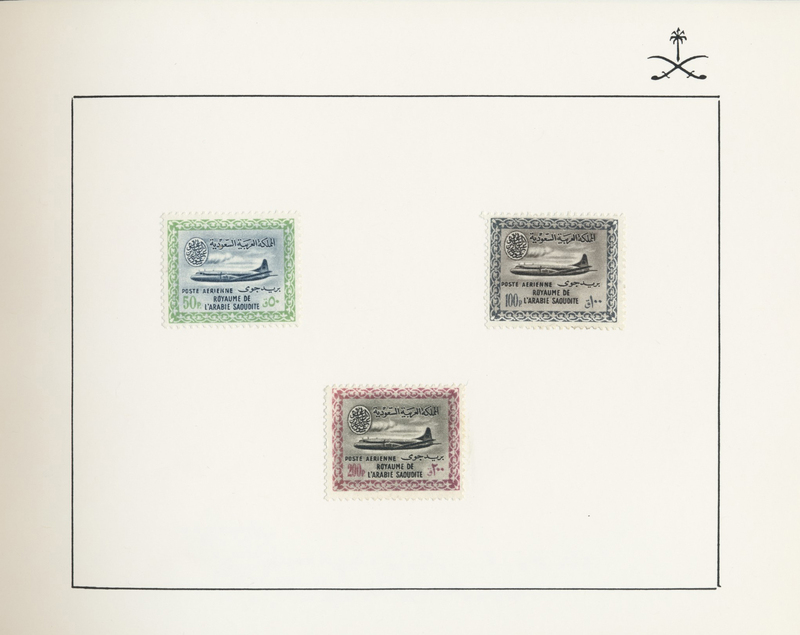 9631 postfrisch (never hinged) ** 112F 1962, Vickers Viscount air mail 15 P., error blue colour missing, mint never hinged MNH (SG 437var, Scott C16var). 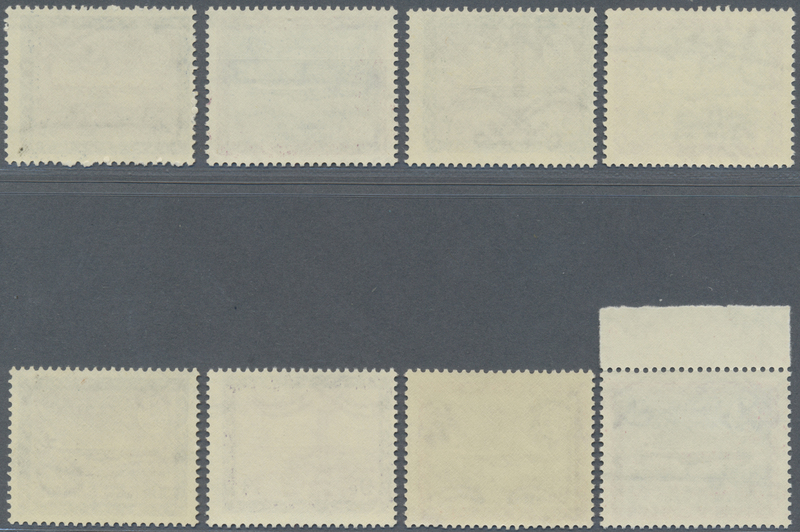 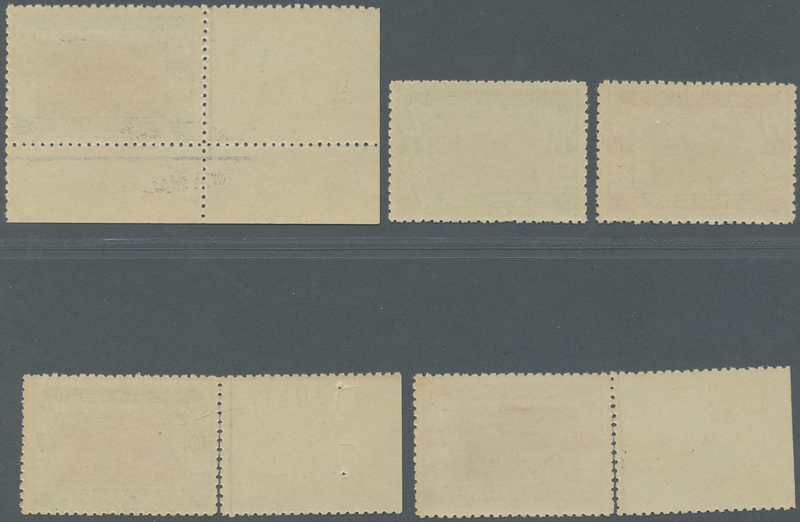 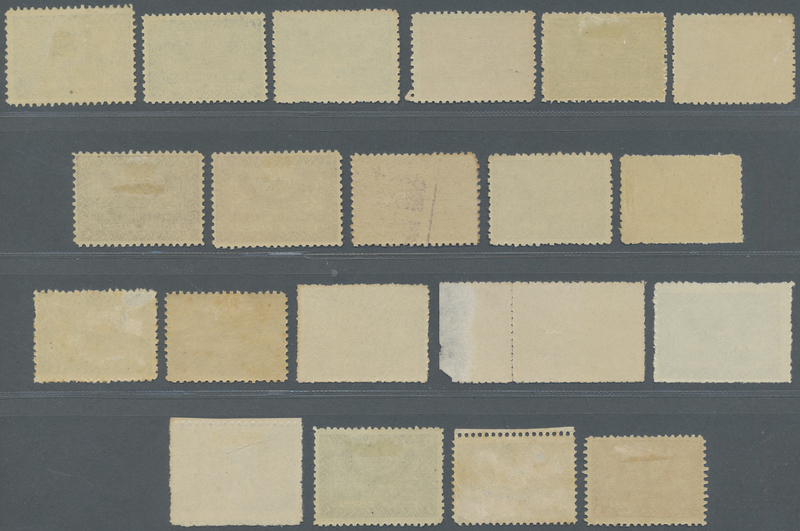 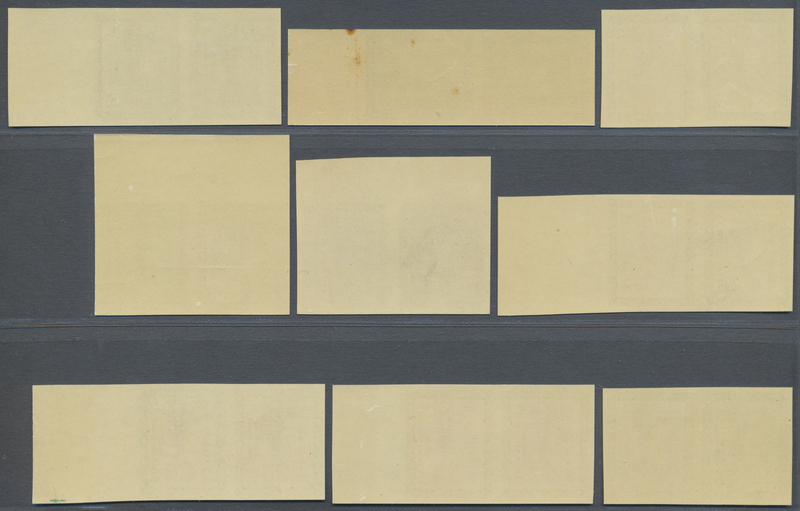 9632 postfrisch (never hinged) ** 133/35, 142/54 1963/64, dam and oil plant definitives revised sizes, total 16 vals., mint never hinged (SG 467/80, 487/89, Scott 258/63, 264/73). 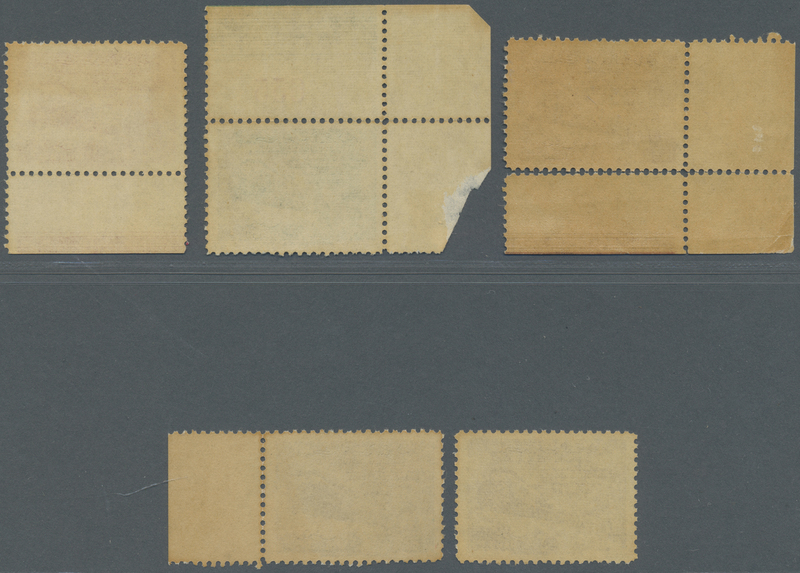 9634 postfrisch (never hinged) ** ungebraucht (hinged) * 169/B194 1964/70, oil plant redrawn set 1 P.-200 P., 5 Pia., 9 P, 13-16, 23, 31 Pia. 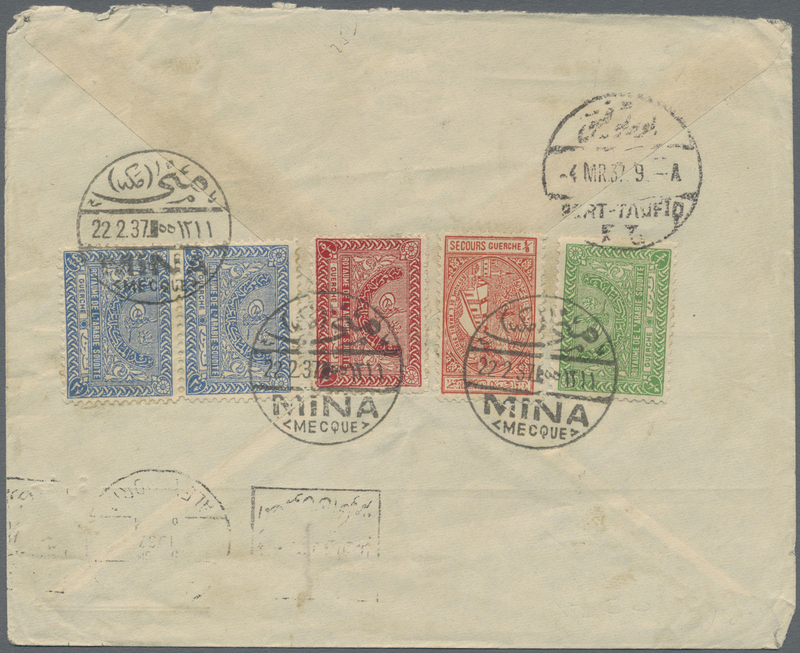 LH, otherwise mint never hinged MNH including the top values 10 Pia., 50 Pia. 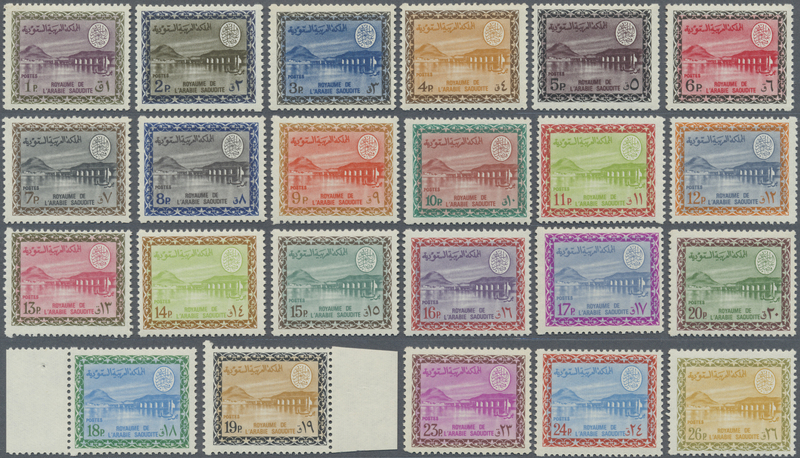 and 200 Pia. 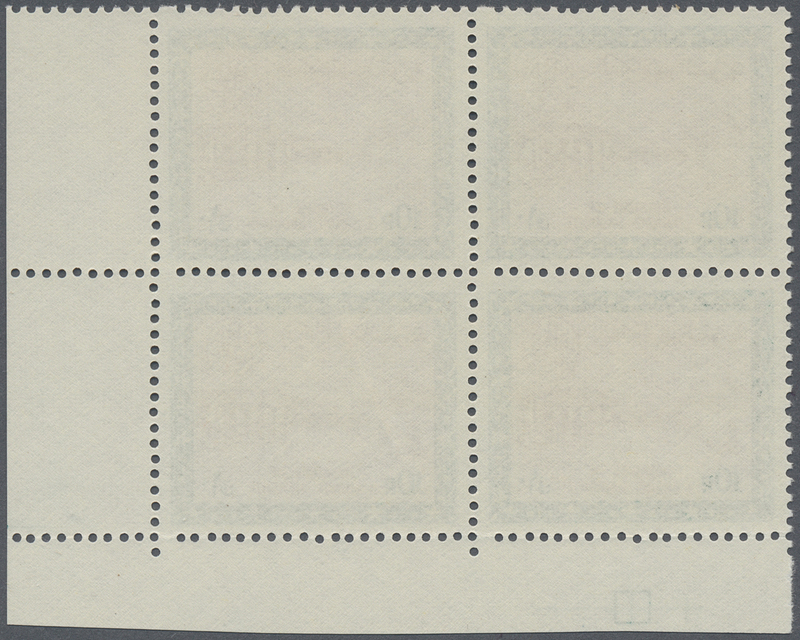 - Slight gum crease with 9 P., 24 P., 31 P. (SG 529/56, Scott 314/41). 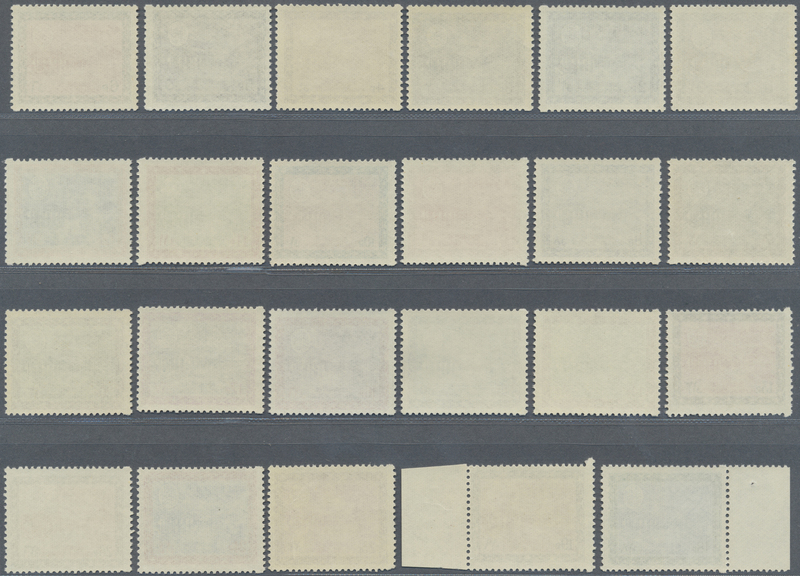 9635 postfrisch (never hinged) ** ungebraucht (hinged) * 215/242 1964/70, dam redrawn set 1 P.-200 P.. 13, 20 Pia. 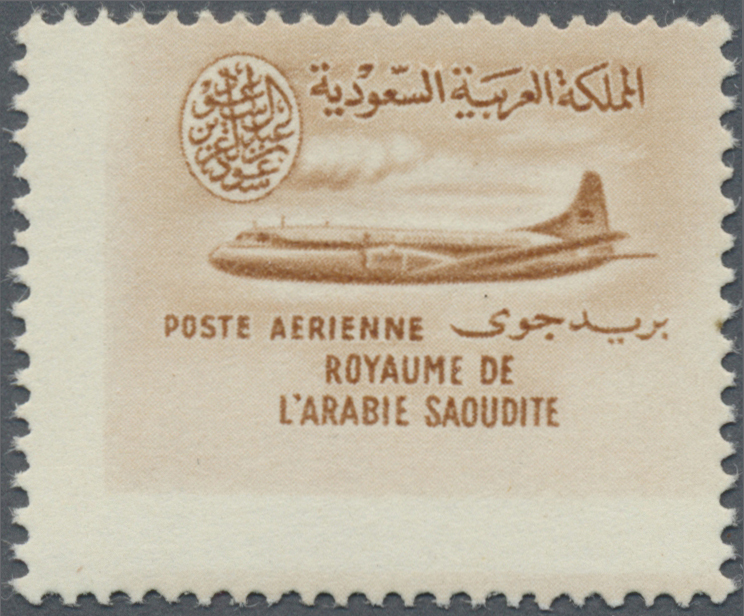 LH, otherwise mint never hinged MNH including the top values 100 Pia. 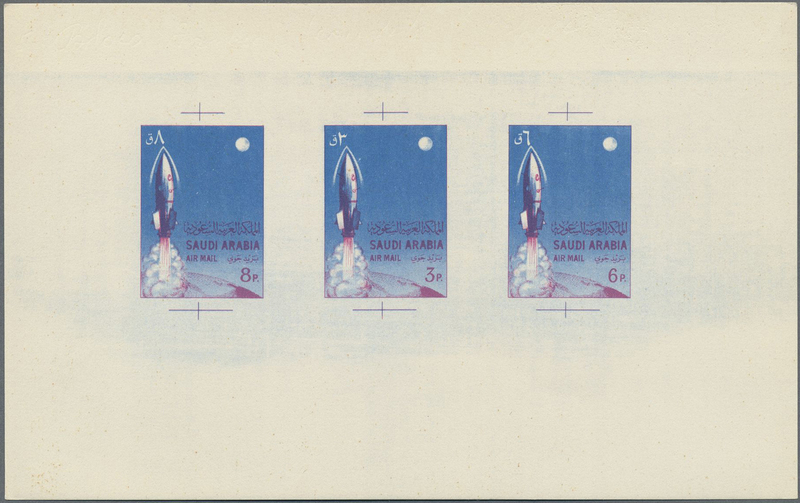 and 200 Pia. 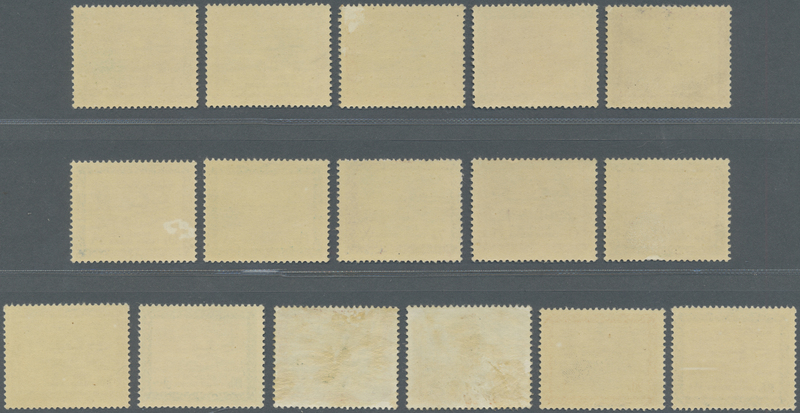 - Slight gum crease with 15-17 P., 23 P., 24 P., 27 P., 200 P. (SG 557/584, Scott 286/313). 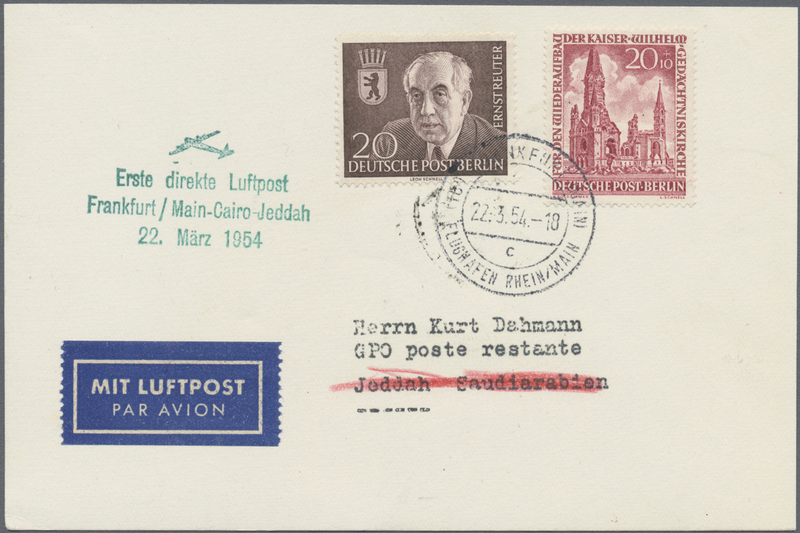 9637 postfrisch (never hinged) ** ungebraucht (hinged) * gestempelt (marked) 297Y/325Y 1966/75, oil plant with King Faisal cartouche 1 Pia-200 Pia., 50 Pia used, 23 Pia. 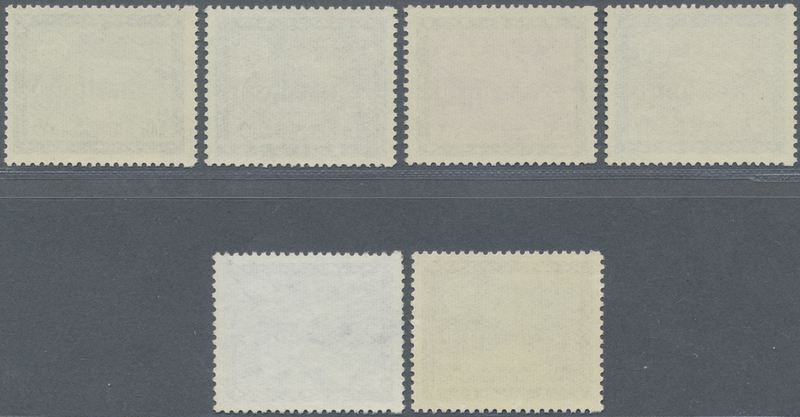 LH, otherwise mint never hinged MNH, slight gum crease with 8 P. (SG 660/87, Scott 422/50). 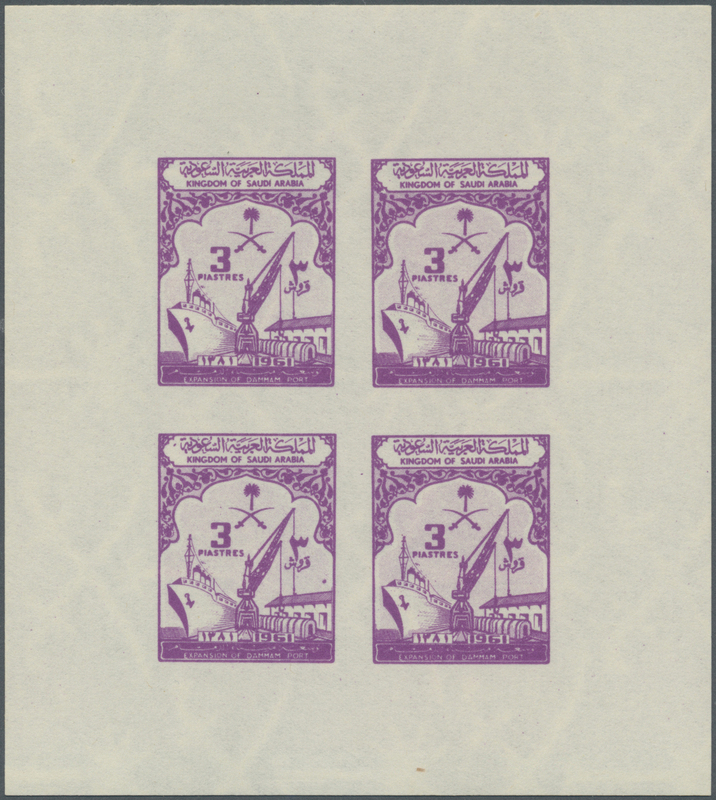 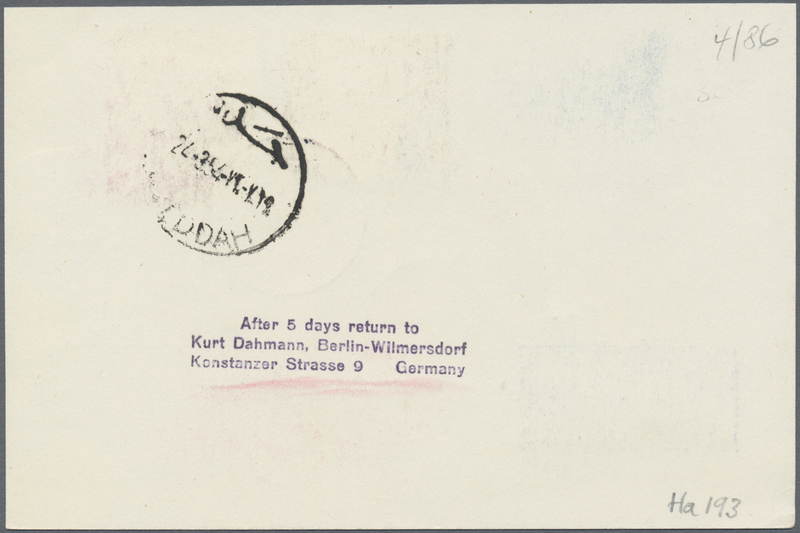 9638 postfrisch (never hinged) ** gestempelt (marked) 326Y/354Y; 354Y 1966/75, dam King Faisal cartouche unwmkd. 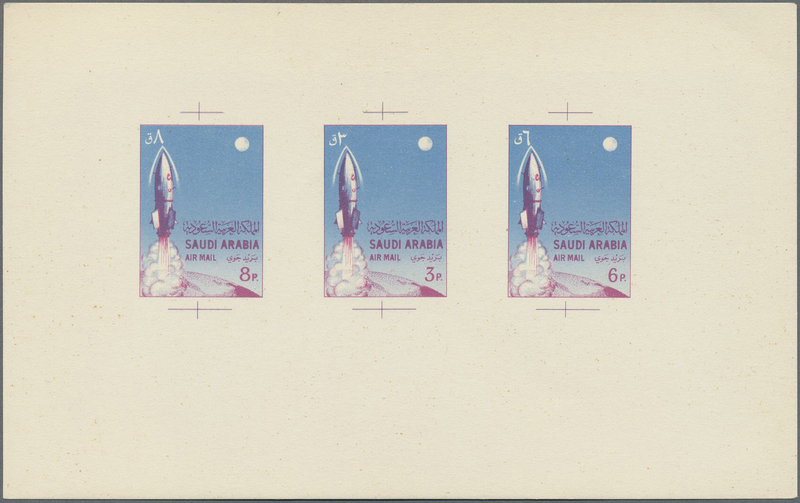 1 Pia-200 Pia. 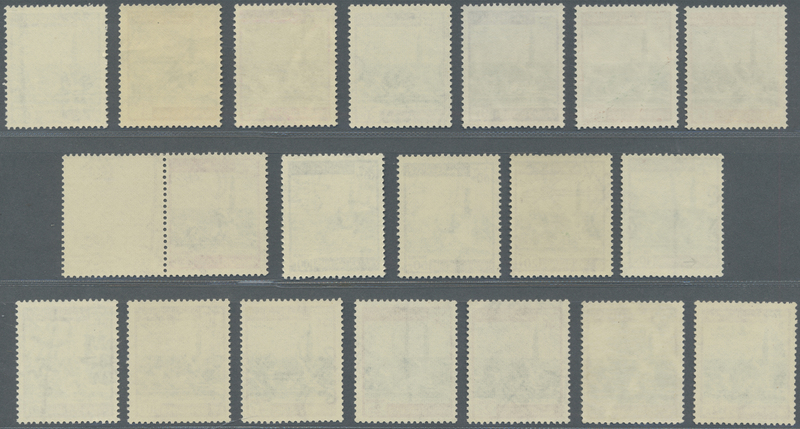 set, mint never hinged MNH, including the rare 100 Pia. 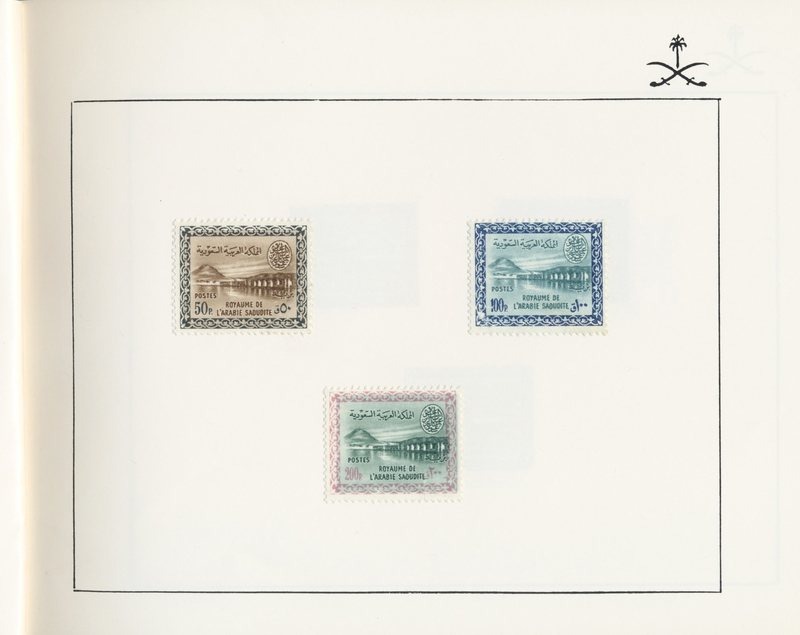 unpriced in Michel catalog. 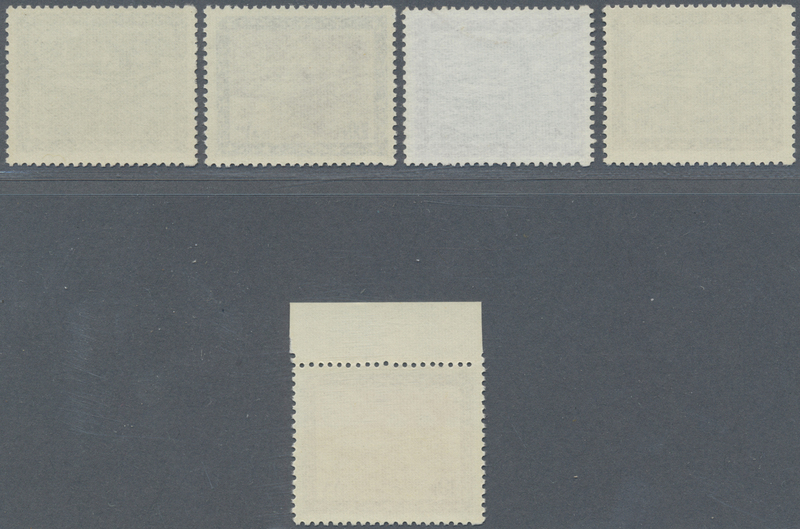 23 P. slight gum crease. 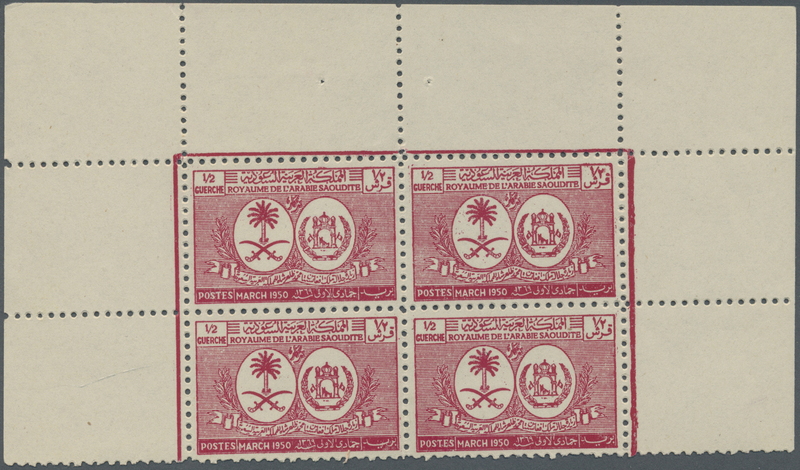 - Additional a clean used copy of the 200 Pia. 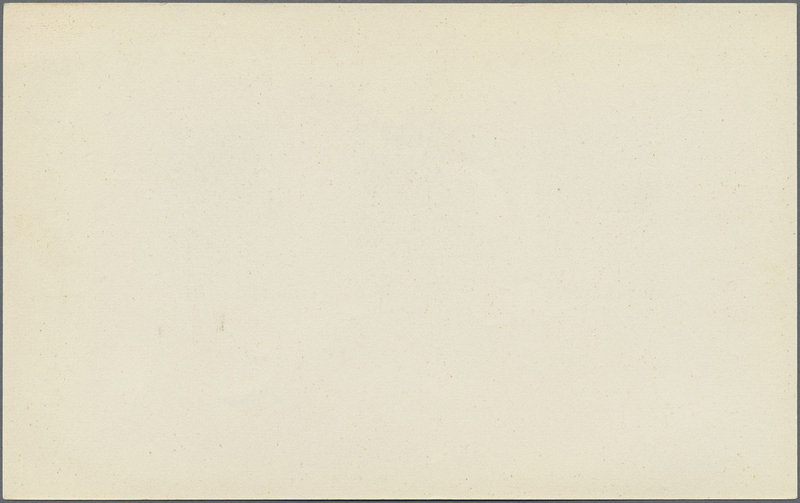 Scott cat. 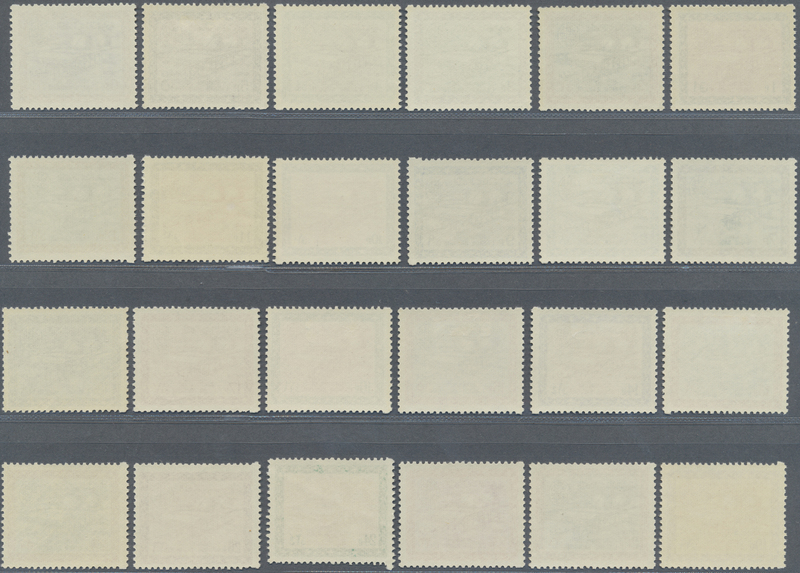 $2490 (SG 688/715, Scott 393/421). 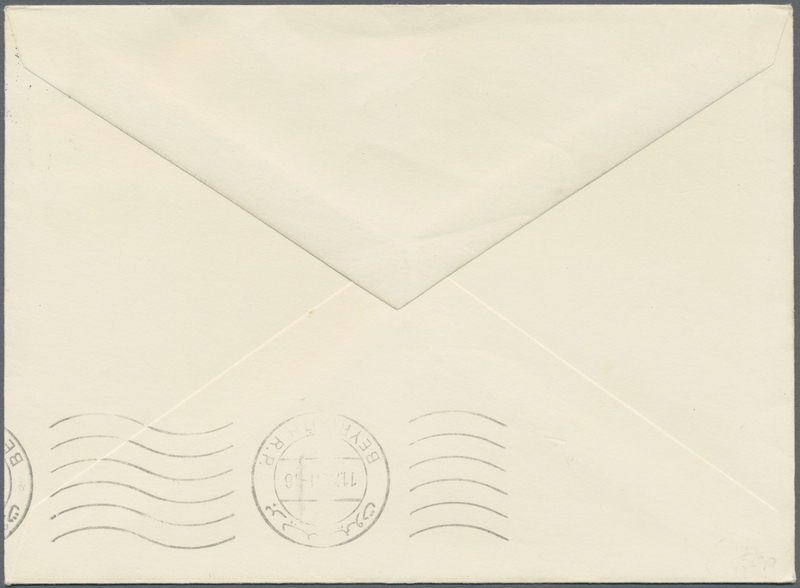 9639 postfrisch (never hinged) ** 355/64X 1967/71, airmail 1 Pia.-10 Pia. 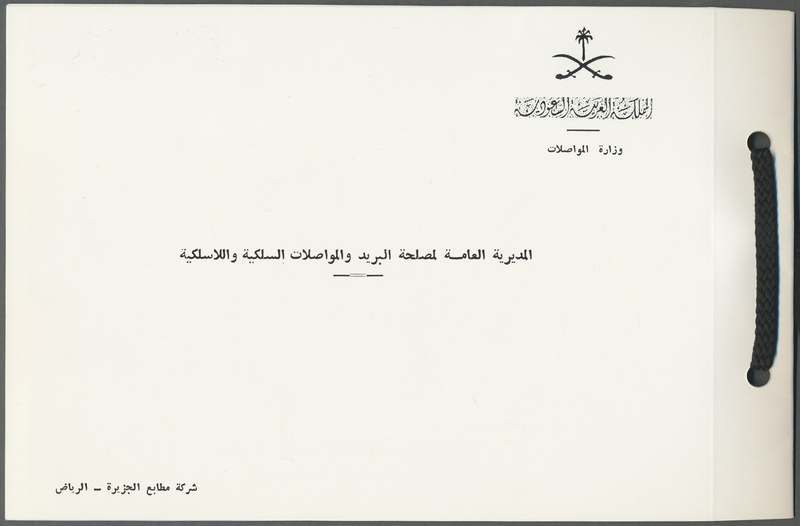 with wmk. 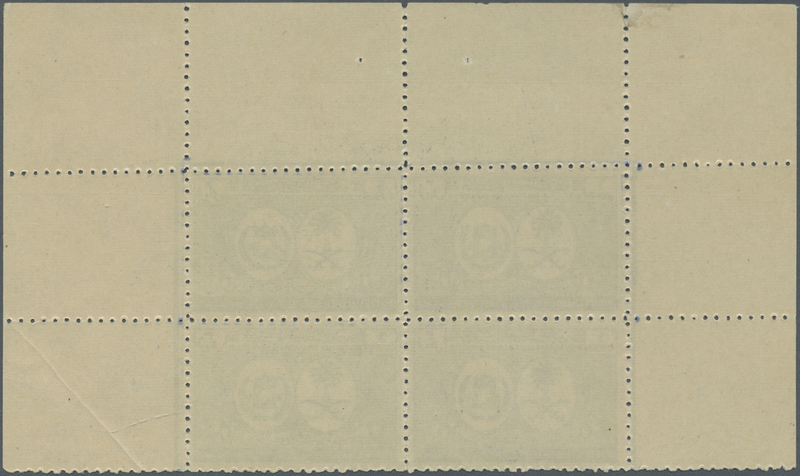 2, mint never hinged MNH (SG 806/14, Scott C 88/95). 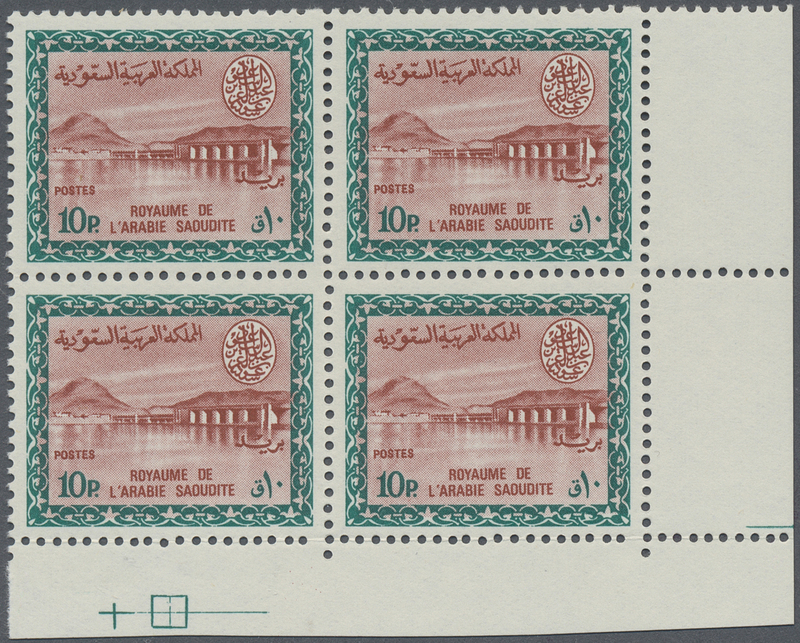 9640 postfrisch (never hinged) ** 428/30 1968/69, sacred mosque's colonnade set, mint never minged MNH (SG 887/91, Scott 500/02). 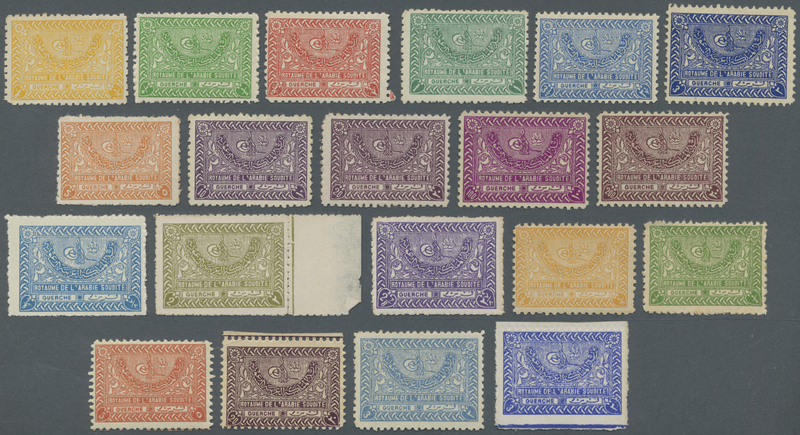 A scarce set.